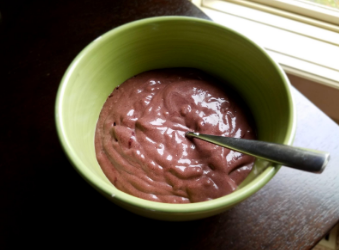 This is a great, simple option for breakfast, but you can also eat it throughout the day. It’s a great choice if you’re a bit under the weather, as it contains “superfoods”, especially if you have a sore throat. Antibiotics: do we always need them? I’m finding that just about any vegetable put through a mandolin slicer and roasted is a delicious way to do chips. I ate an entire bunch of radishes using this recipe. Hope you enjoy, as well! Who here hasn’t heard of the “latest and greatest” diet/cleanse/shake/supplement being touted as a magic pill to give you what everyone most desires (insert sarcasm here): the perfect weight and body? There are so many different versions out there it can be quite overwhelming. I’d love to discuss my personal experiences with some of them to, hopefully, give you a better idea of the options available (I’m not affiliated with anything mentioned, just speaking from what I’ve done myself). 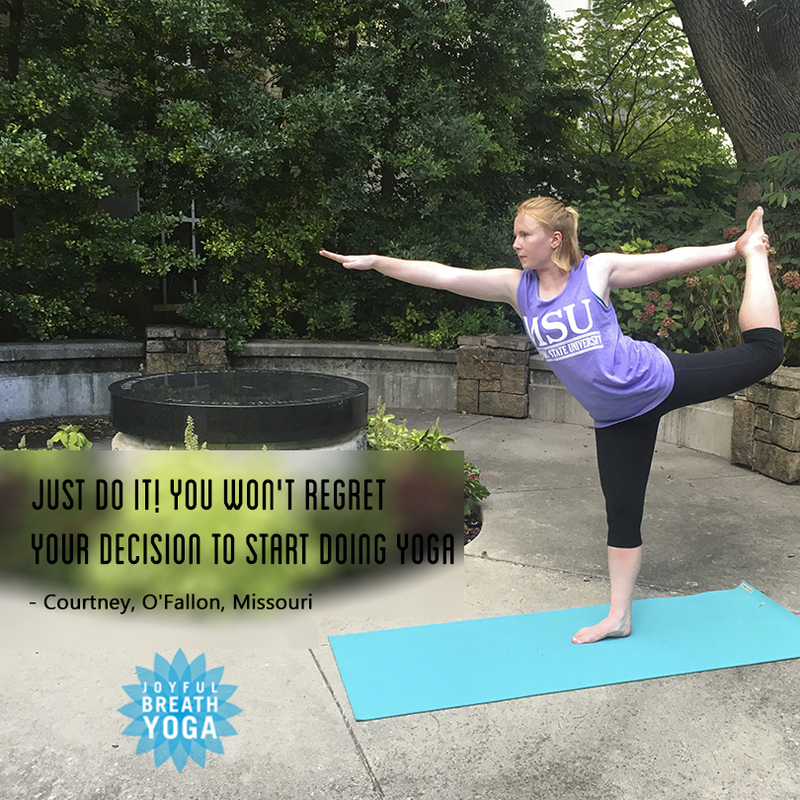 Another one of the multiple benefits from yoga, besides body movement improvement is that you get to connect with yourself and know yourself better, here is Courtney’s yoga Success story. We want to thank Margarita for sharing his Yoga experience with us, we love to show everyone that Yoga can change your life for good not just the way you move around but also the way you feel. I discovered online Yoga after meeting Debra. I have been enjoying yoga for six years now. I appreciate the flexibility of online yoga. It breaks all barriers of time, skill level, affordability, and life demands. Yes, I highly recommended yoga to everyone wanting to get in tune with their body and wellness. Studio yoga provides people interaction where online yoga provides the opportunity to really be at 'one' with your practice. My advice would be to start your practice and watch your body transform. 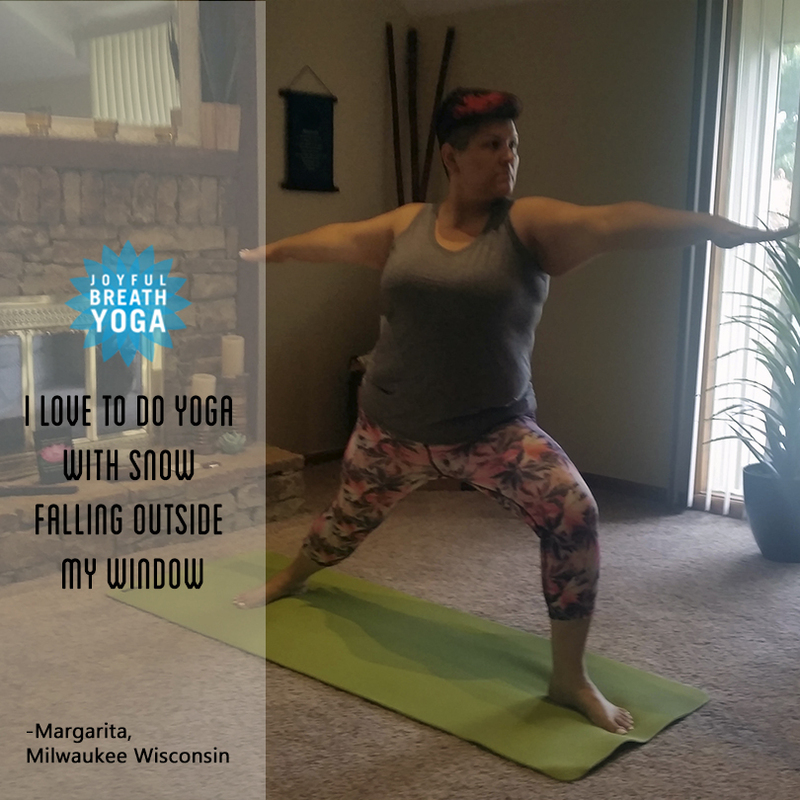 I love to do yoga with snow falling outside my window. Would you like to start doing yoga today, check our website here. 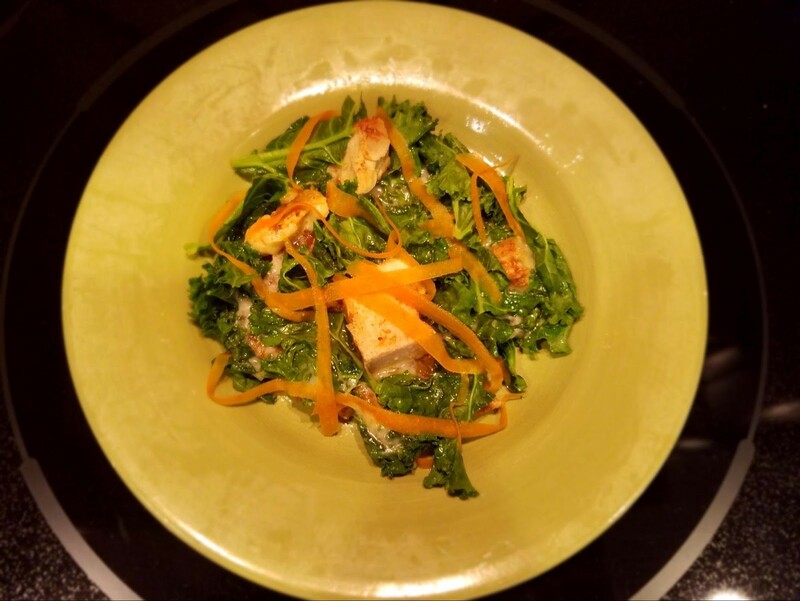 I have another simple yet delicious recipe for you all this month! I love how versatile it can be, and how you can use whatever is available to you already in your house. It’s kid-friendly and a great, healthier way to get your pizza fix. I found myself craving a cool, refreshing smoothie the other day and happened to have the above already in my house (yay for not having to go to the store)! Just throw it all in a blender for a minute or so, until it gets past the nasty brown-looking stage to being green. My daughter stole at least half of it from me, so it’s kid-friendly, too! The flaxseed is a great healthy fat to incorporate into your diet when possible. Hope you enjoy Strawberry Kale Smoothies as much as we did! 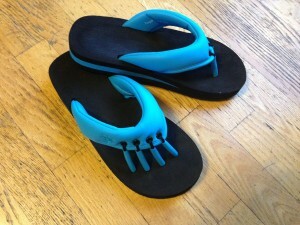 Open up into this wonderful Reverse Warrior that lets you look up into the sky and celebrate moving forward! 1. 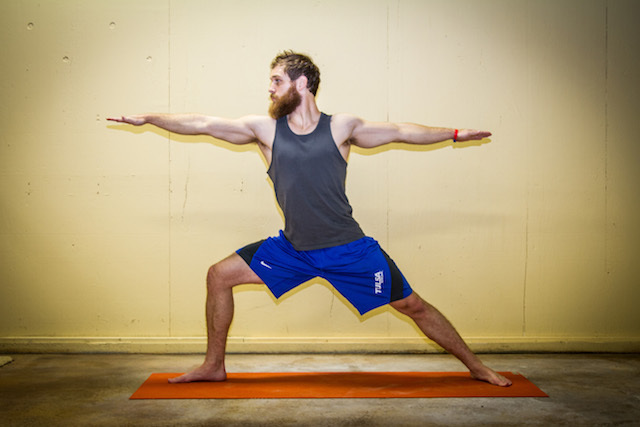 From Warrior 2 pose (with the right knee bent), bring the left hand down to rest on the left leg. Inhale the right arm towards the ceiling, and gaze upward at the hand. 2. Keep the right knee bent, pressing into the feet with strong legs. Focus on engaging the core. Relax the shoulders. 3. Breathe and hold for 5 - 10 breath cycles. 4. 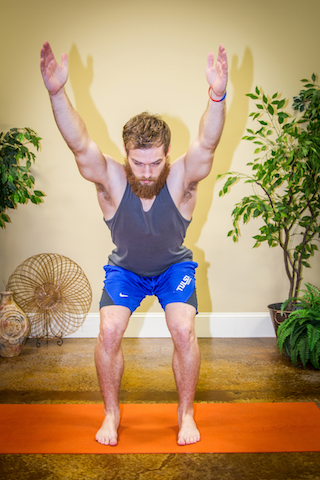 To release, send arms down to shoulder height. Turn towards the back of mat, bend the left knee and straighten right leg. Repeat on left side. Nicole is an old friend that started doing Yoga and personal nutrition 2 years ago with Debra, we want to take the opportunity to stand her story out on the Member spotlight. “Yes, I do recommend yoga to my clients. I appreciate how Joyful Breath Yoga is designed to allow one to choose the length of the class, and whether they want an all body session or specific body sessions. This allows me to recommend different segments for specific concerns. For example, someone who is struggling with plantar fasciitis would benefit from doing foot yoga. WOW!!! I am so excited to share my latest Joyful Find with you all. 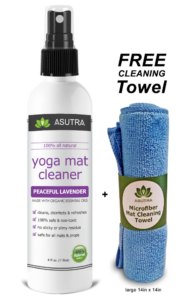 Asutra Yoga Mat Cleaner is AMAZING!!! For the first time ever my yoga mat looks and feels completely clean. I teach classes all day and have never been able to get the deeper residue off of my mat. Our yoga mat is a “second home” and having it clean and fresh smelling is like getting into a bed with fresh sheets on it - oh so wonderful! Thanks to Asutra, my mat is cleaner than it has EVER been and looks brand new after every cleaning. What I love about Asutra is so many things. 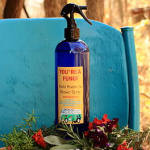 First, their products are all organic and purify and disinfect your mat naturally. 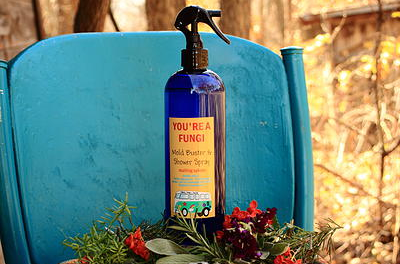 All germs, dust, bacteria and sweat vanish. Their products are purely water based and have essential oil infusions. I also love that there is no sticky residue - no more sliding on your mat after you clean it. They also give you a great cleaning cloth with every bottle you purchase and the price is wonderful - just $10.95. You can buy on their site, or for all of you Amazon Prime junkies like me - they are on Amazon too! In this busy technology based world, the personal touch is often lost. Asutra is a woman owned business that truly adds a personal touch. I received a wonderful email after my Amazon purchase from Asutra, this never happens on Amazon. The owner Barbara personally responded to my email. I LOVE this product and LOVE this company!! 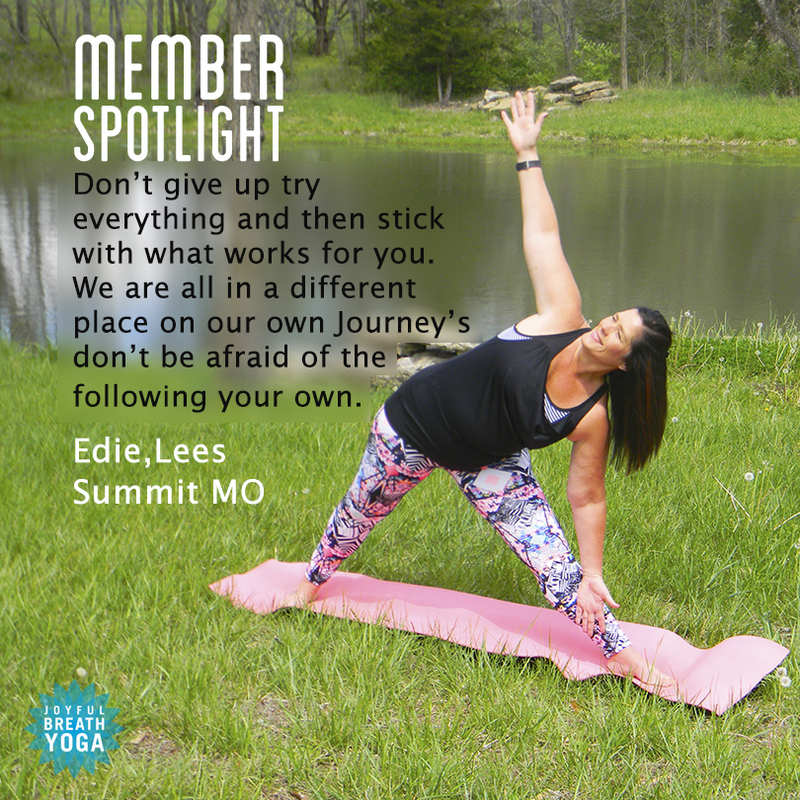 We want to showcase Edie’s story and how she got into Online Yoga. Now she is part of our Member Spotlight and she loves it! I had never tried online yoga until Debra started Joyful Breath. At first, I was concerned it wouldn’t have the same vibe as a studio does but I like being able to do yoga on my schedule. 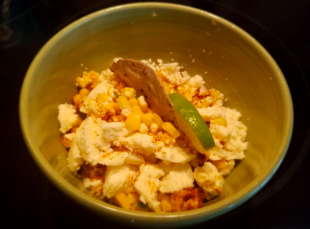 I’ve been making this recipe a few times a week. I’ve eaten it for breakfast, lunch, dinner and snacks. It has great healthy fats and is more filling than you might think. 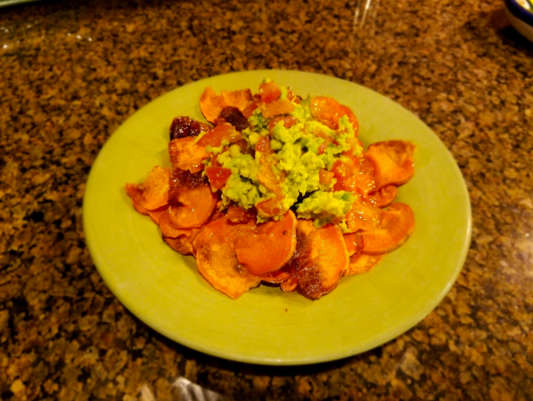 My kids both love the sweet potato chips, and my daughter would eat all of the guacamole if I let her, so don’t be surprised if you need to make a couple sheets worth of chips! 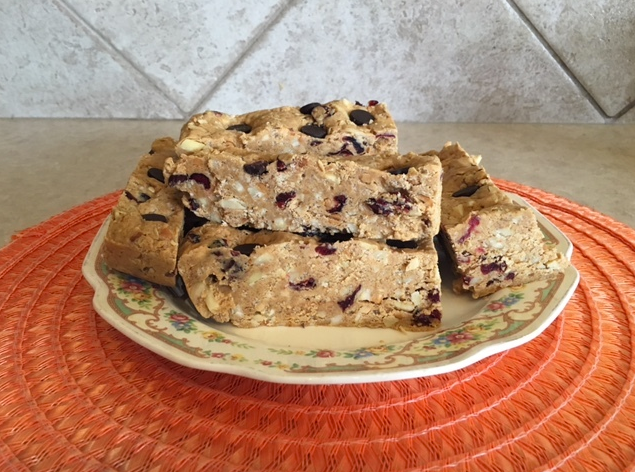 This homemade protein bars are delicious and really easy to prepare. This is our monthly Member Spotlight: Today we want to showcase the story of Brianna Maxwell and how it has been for her having Yoga in her life. 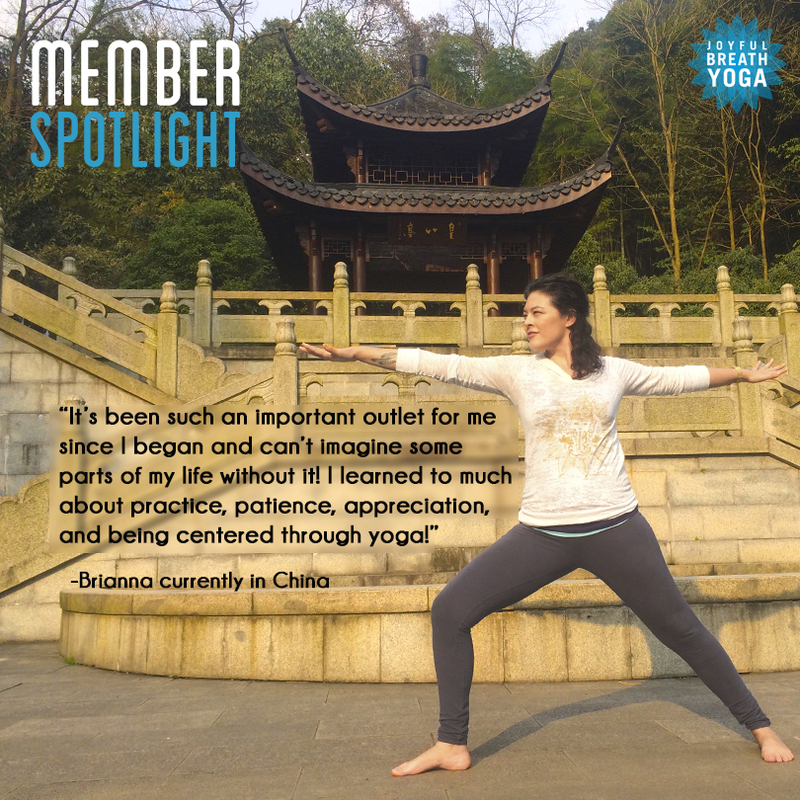 Since she was relocated to China she could not attend studio classes anymore, and Online Yoga became a possibility to stay with her practice. 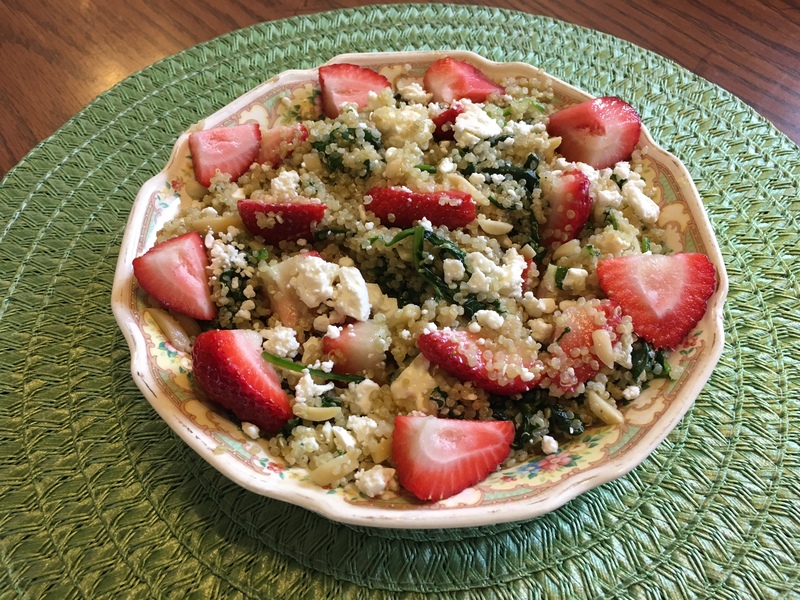 This beautiful and tasty salad is great for spring with strawberries fresh and delicious. It makes a great side dish or a meal on its own. Great to take to parties and always a hit. Hello, everyone! I’m extremely excited to be a guest blogger here. I have taken Debra’s classes for 7 years and love them, and am thrilled to be a part of her amazing community. That being said, let’s get started on the good stuff! Here’s a recipe for a healthy fat snack that I recently made and thoroughly enjoyed! Upward Plank pose is a great pose for building strength in wrists, arms, glutes, and hamstrings. It also helps to stretch the chest and shoulders. 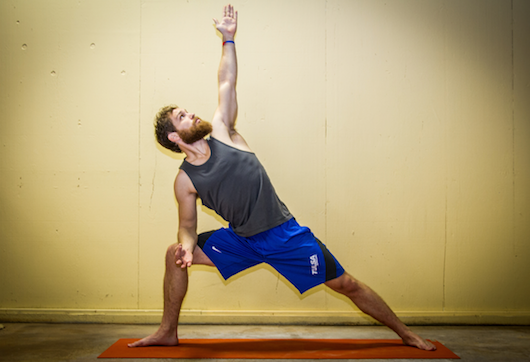 Use this pose to add variety to your yoga practice. 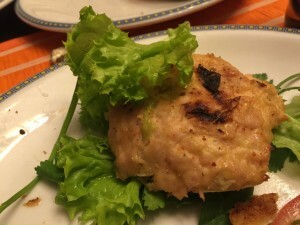 I love this recipe and so do my kids. For the first time ever, I could tell my youngest son that he could actually have a cookie for breakfast. 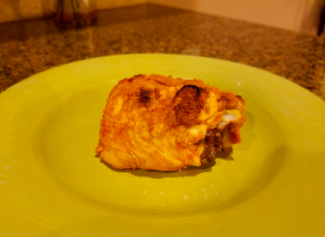 They are super easy and tasty - my husband loved them too! Don’t worry about your turkey burgers falling apart or sticking to your hands with my husband Tom’s recipe. Enjoy the added taste with the eggs and oatmeal. O’Bryan family favorite: Add fresh chopped cilantro, red peppers, and onion. Make extra’s - you will want leftovers! We love our community and have been working closely with our members to show their stories and provide some inspiration to the global online yoga community. We have one aim with these Member Spotlights: Showcasing just how accessible yoga is for everyone and how it can be life changing for you! 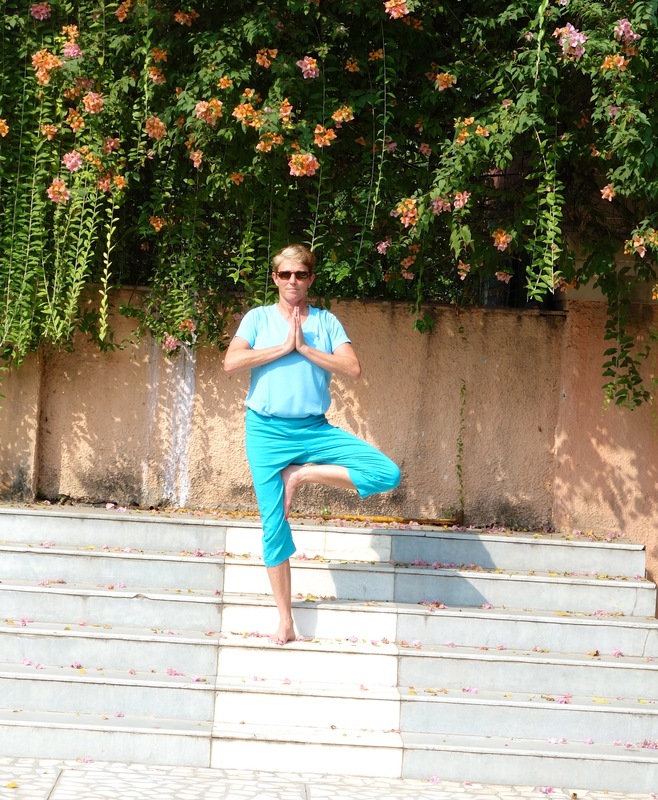 Read this story from Joyful Breath Yoga member, Susan Kelley, below! Susan has been practicing Yoga for about 14 years. She started attending classes with Debra 4 years ago and with Debra's style, enthusiasm and encouragement, jumped at the opportunity of participating in online yoga classes. Plank is a truly foundational pose and one of my personal favorites for building full body strength. It teaches us to “hold ourselves together”. Holding our own body weight is challenging. Plank helps to build upper body, core and leg strength. It keeps arms and wrists supple and healthy. 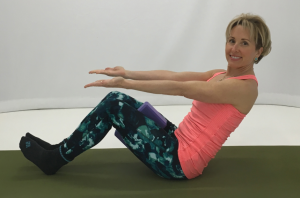 If you practice this pose, over time upper back and neck posture will improve and you’ll create support for your lower back as you learn to engage the core. This pose is a great way to build strength in the legs, core and glutes - add in a few deep breaths and hold for a quick workout. I love adding the block between my legs to engage the core as well as help keep the knees in alignment. 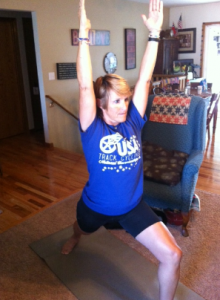 Inner thighs will feel some “love” as I like to call it if you add the yoga block to this pose. Try these super yummy, family tested banana protein pancakes for breakfast, lunch, dinner or take one for a snack. 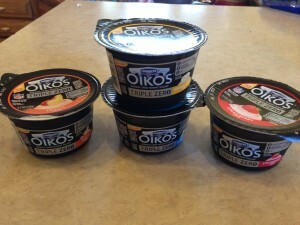 All four of my children loved them and were amazed at how filling they are. I added extra protein powder for a total of 20 grams of whey protein and used Half & Half instead of milk for a thicker, creamier consistency and only 1 gram of sugar instead of 9 grams in skim milk. I also used spelt flour for a healthier pancake. 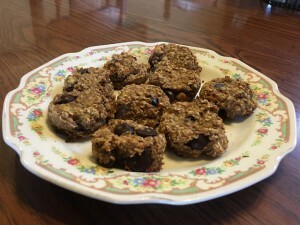 My kids love them with a few chocolate chips and no syrup. Enjoy! WOW! Do I LOVE this Salsa. It tastes amazing, the ingredients are all organic and it only has 2 carbs and 1 sugar per serving. My entire family loves it. Add it to avocados for easy guacamole, pour on top of grilled chicken or hamburger with black beans and avocado and create a tasty southwestern meal. Great on tacos and eggs. I also love that it is such a great price - 2 pack for just $6 at Costco. 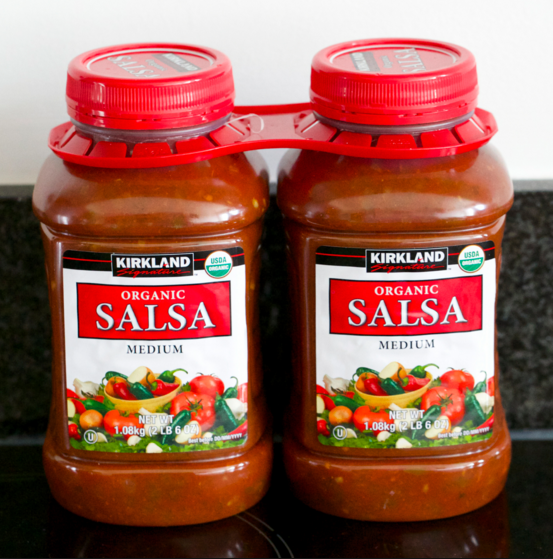 Kirkland Signature Organic Salsa. 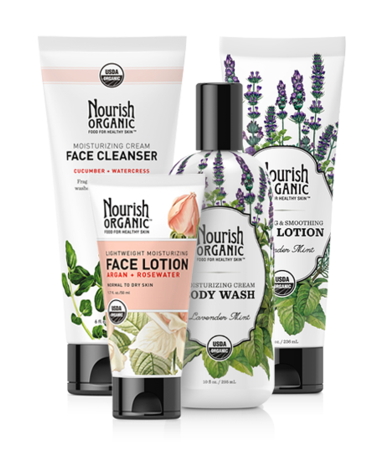 I never thought that I would notice so quickly how much softer, and bright my skin could be until I tried Nourish products and the Organic Face Cleanser. Most amazing part, my hubby even noticed a change in my skin. Since I many times wonder if he notices my latest haircut and color - this was a joyful moment when he commented on my skin. Being the Amazon Prime junkie that I am, I love that I can purchase online and don’t have to add to a list for Whole Foods. Also love that they are affordable, those face products can sure add up. Nourish Organic. I live with daily pain…right in the middle of my back and neck. It is a constant reminder of my humanity and lack of control. I have been practicing yoga and swimming to keep me loose and strong. Recently, I have been learning about intention and letting go. 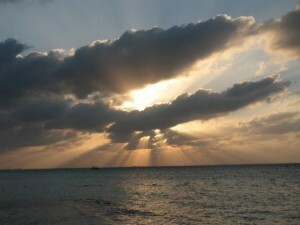 I signed up for a yoga retreat called The Journey of Inspiration by JoyfulBreathYoga.com. I was open and I was ready. I had no idea how learning how to be empty was about to be thrust upon me. The retreat presented me with an opportunity to learn meditation. During my first time I was prompted to imagine a safe place…a place where I felt comfortable and at home. I immediately knew there would be water there and it would not only comfort me in its beauty but surround me in movement and sound. I have to admit I didn’t follow the rules because there was supposed to be a locked door that closed me off and I was to be alone. I was in a room, like a bedroom, but there was no door. Actually, one whole wall was gone and it led to wide flat steps. Outside were greenery and a river that moved through it. On the steps was the presence of God in the form of Jesus Christ. He wasn’t looking at me but instead just sat comfortably on those steps. He knew I was there. And I knew He would stay as long as it took. As I began to chant there was no judgment. No evaluation…just being. In fact, I was forgiven. I worked through a lot of things that I was being led through and I wrote them down after. Another session that same day I was in Hatha. The familiar card came back to me about forgiving myself and others and letting go and moving on. I received this theme many times before surrounding the heart chakra. This area was speaking to me and I was paying attention. We were in eagle and were asked to envision this creature as it studied its environment from on high on its perch. I pictured the world from above…the blanket of green with the clouds softly nestled in between; a winding river that didn’t seem to end. It was breathtaking and clear beauty. Then we became the eagle and we took flight. As the eagle flies it begins to see more of what was first seen from its perch. The flowing river became a waterfall on the other side. The vast forest became individual trees that wooshed by. And for the first time I wasn’t concerned about how I looked. I just soared. Then I saw it…me in my original place earlier meditating, with Jesus. My eyes were closed and I was at peace. Jesus was still faced outward. As I flew closer I saw His face. He was gazing at me. He was not only following me with His eyes, but He was reflecting me. And I reflected Him. It is as if my flight was pure beauty to Him, and He was mesmerized. I wanted to just keep flying. I wanted to bask in His approval. I was grateful. I was actually a little sad when I was brought back and had to come out of eagle. 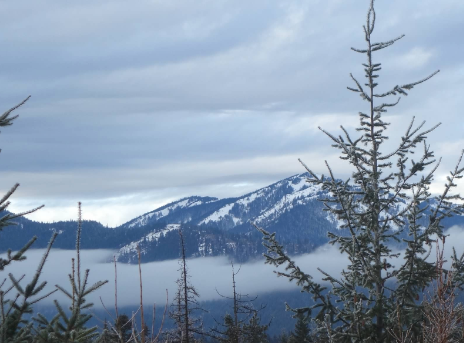 I noticed during both my first meditation and my eagle experience, I had no pain. I was free. I was strong. I was loved and cherished. I am loved and cherished. Even in my pain. As I close this day I am hopeful. I am grateful. And I am forgiven. There are so many ideas that have been written down today that came from a place of inspiration. A place that I knew was always there but was not something that I had access to. I have always believed that the Spirit of God lives within me. But I never thought that meant that I had access to it. I simply waited to see what would happen and lived around it. He gave Himself to me so that He could work in me and through me. We are One. He is mine and I am His. Because Jesus loves me so much I can trust in His gazing after me; in His comfort, and in His confidence to inspire me to fly - every day. As I go home and get back to life I hope I am different. I hope I am changed. I hope I still remain and practice emptying, openness, and readiness. I do think it’s in the hoping that I am now inspired to keep trying. There are bigger things than me out there calling for our attention. He will show me how to love as He loves. My journey continues. The inspiration is in the journey itself. I give all the glory to my Lord and Savior Jesus Christ. He pursues me. He gazes after me. He is my inspiration so that I want to inspire others, wherever He leads me. Joyful Breath Yoga presents Journey of Inspiration Retreat. ALIVE is exactly how I feel each and every time I do yoga or begin to take a few moments to focus on my breath. Many times we catch ourselves “going through the motions of life”, not truly living it. The Journey of Inspiration is a day to reconnect with ourselves, reflect and renew our spirit and celebrate our own “ALIVENESS” with others. Click here to Learn More about the Journey of Inspiration! Teaching, instructing, and training others in the business of physical transformation; I have learned that not only do we have to train for the transformation we desire in our physical bodies, but there is a transformation process that our minds must go through also. The thoughts that we allow to be entertained in our minds can either build us up or tear us down. Whatever we should then choose to entertain can become a belief about ourselves and others. If we then choose to speak those thoughts we give them life. My motto focus long has been “what you think about you bring about.” Yoga has allowed me to transform and teach transformation in the physical body but has also given me a deep awareness of my spiritual walk as well. I have walked with Christ for many years, inviting him into my yoga practice has been a rich blessing of stillness,(Psalm 46:10) a sanctuary , a source of strength, joy, and peace being in the presence of Jesus my savior. I have had a rich opportunity to teach others how they too can build strength in their physical bodies while keeping a focus on our creator. Transformation starts in the renewing of our minds, (Romans 12:2) In the morning I wake and Honor God with my devotions to him, but I can also know that my yoga practice can be an act of worship to him when HE is my focus of my meditation and gratitude! Releasing negative habits and thought patterns and giving them to God in order to be who he truly created me to be is an experience of Freedom that I long to share! I am passionate about encouraging others, empowering others in their own wellness, assisting in creating positive lifestyle changes has been a rich blessing to be a part of! Come get encouraged! Build strength, flexibility, release stress through breath, rejuvenate and build time for resting/meditating upon God and truth. Together we can celebrate in the awesome changes our Creator has done in us, given us, and experience his joy! 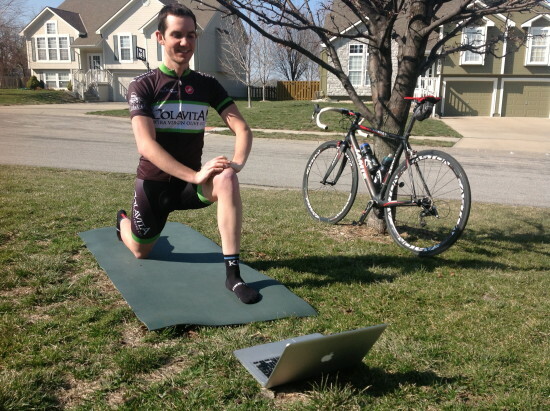 Collegiate Athlete fills training void with online yoga videos. My name is Mandy Laddish and I am a senior at the University of Notre Dame and recent alumni of the varsity women’s soccer team. Although my collegiate career ended this fall, my career as a soccer player is just beginning. In January I was drafted by FC Kansas City to play in America’s Women’s Professional Soccer League. After graduation in May, I will return to Kansas City to begin my career as a professional athlete. It is crucial that I maintain a high fitness level throughout the semester in order to return to Kansas City ready to compete with some of the top athletes in the country, and arguably the world. However, achieving my fitness goals has proved to be a harder task than I initially anticipated. All of us have “soul contracts” with specific people designed to cross our paths, but when the contract is a major one (needing extra assurance that we can’t miss or avoid it) we often agree to “marry” the individual or be born into their midst as a sibling, or in my case - choose them as a parent. My father was larger than life with his outgoing, gregarious personality that impressed people as he “worked the crowd”. In a positive light, he was people-oriented, generous and self-assured. I, like my other 9 siblings, had him on a pedestal, dazzled by the mask of his “superhero” image. As we grew older, the mask and cape fell away revealing his imperfections and core wounds. It was hard for him to really be present with any of us because he was always juggling work demands with his own personal desires, (that didn’t include family) and sometimes, illegal agendas. He was a functioning alcoholic who had the best excuses to explain any breech of promises he made, but in the end, his lies caught up with him and his world crumbled, ending in a divorce with my Mother. We each experienced our own litany of disappointments, betrayals and let-downs from him and I remember spewing my grievances to a counselor on more than one occasion. Having a professional label him as “narcissistic” or “psychopathic” helped my mind accept what I could not change, but the longing for approval and love was still there, stuffed deep down in the empty hole of my heart. Because of NOT having his attention and validation, there was always a feeling that I was not good enough with a subconscious drive to prove myself worthy… to prove I didn’t need him and that I could make it without him. But all of that changed with the diagnosis of his death. In that moment, I saw my Dad with new eyes. It did not excuse any of his failings. It just gave me compassion for the role he played, for the contracts he made with so many. I was able to admit and acknowledge that because of what I did NOT get from him, I had to develop my own internal muscles, building my self-confidence and self-acceptance. I had to learn how to believe in myself and trust my intuitive knowing instead of relying on his or anyone else’s approval. For the first time, I saw what a gift he had given me, by playing his self-absorbed part. The anger and blame fell away. “Let me walk towards the light, trusting the way. Let me see the dark of night as the balance of the day. the fears that enfold me, dissolve them in peace. Let me walk towards the Love, trusting its pull. Let me drink from its cup. It will teach me to be full. the hands to hold onto and when to let go. to expand who I am, to believe I am whole. Look into the brightness, where you’re never alone. Finishing the song, I lay down behind him and with my hand on his shoulder, I whisper, ” I love you Dad.” to which he quietly replies, “I love you too.” (I am hearing these words spoken aloud for the first time in my life.) I tell him, “You know Dad, you are doing the hardest thing. You are showing us how to die. None of us know how to do that.” He simply responds with all ego and bravado gone, “It’s not so hard.” I was at his head when he died, able to anchor him in the next world, giving him permission and encouragement to go- fulfilling my part of the soul contract I unknowingly had with him- to be his spiritual midwife. From my present day perspective, I realize Dad had a soul contract with each of us. He did the best he could (given his own limited programming). The difficult part he played gave us the opportunity to grow and stretch, making our own mistakes, becoming responsible for the choices that we would come to live with. Because of his example, I realize that I see beyond the black and white world where judgments of others hold everyone as hostages. We are all imbued with imperfections that are perfectly matched to serve as catalysts for our own and others change, assisting the greater evolution of our souls. I cherish the gift of my Dad’s influence, learning more from his failings than from his accomplishments, because ultimately, he helped me to open my heart, to forgive, and to accept that being human is the real “power” behind any super hero. I am amazed and scared at how much my mother does not remember. I once heard when children are little you need to tell them something 3 times before they understand. They need time to process the meaning. I always remembered that and practiced it to give my boys ample time to understand my message. My mother can’t remember things from minute to minute much less day to day. She just called me and asked when I was coming over. I told her I could tonight and after a few minutes of discussion I found out she thought it was Saturday, but it is Wednesday. She admitted that she has to look at her phone to know what day it is when she wakes up. At least she has a method to figure that out. We have discussed quite extensively how to use the loan to pay off her debt. She got online to pay her bills and I sat with her. I watched her set up payments for the credit card statements she had received. With these payments, 2 of her credit cards would be paid off in full. I took the check she didn’t know she had to the bank today to deposit it for her ($1800). Later I went to check her account online. We set up those online payments 2 days ago but she changed them yesterday. She cancelled the payments and set up new ones for significantly less. We’re talking $2800 to $250 and $2000 to $166. I was instantly upset. How could she do that? Her debt will never get paid down and what was she planning on doing with all of that money? I was really starting to spin myself up. I called her but she didn’t answer. I called her again and no answer. That was definitely the hand from a higher power. I was not in the right frame of mind to speak with her. Then I started to think about my breath. I slowed down and was breathing more deliberately and deeper. It took a few minutes but I finally calmed down and was very thankful my mother did not answer my calls. I’m confident she has no idea what she is doing and was probably freaked out seeing large payment amounts. I then went in and cancelled her payments and set up the original payments. Then I set up alerts to email myself for various different banking scenarios. If you haven’t done this with your own bank account (and credit cards), I suggest you do so. I was a victim of electronic bank fraud and caught it quickly because I get a text for any purchase over $100. After that I spent time debating on what to say to my mother. I talked to my brother about it and we decided not to say anything. I’ll explain it to her if she asks. I also need to get the Power of Attorney in my hands. I expect negotiating the sale of her condo when we get there will be a challenge. I really like this quote. You can’t force will. You have to go with the flow and get silent to hear your little voice. One of the best ways to do that is with breath. I’ve been an athlete all of my life. Breathing during exercise is second nature to me. The more you control the breath the less energy you expend. Being a runner and a martial artist, I understood the importance of slowing down my breath and avoiding “panting.” However the breathing in yoga is very different. Asana is a much deeper and intense breath. I actually think it is one of the hardest things about yoga. I’m thankful that I was allowed the chance to breathe and not confront my mother. I have tears in my eyes right now and I’m scared for the next moment she realizes her mental decline. We have a doctor’s appointment on the 30th to see a specialist about vascular dementia…until then I’ll just keep breathing calling on patience wherever I can find it! I didn’t remember this at the time I was calling my mother, but I drew the communication chakra card this morning to acknowledge and bless any hurt or harm caused by my words or silence. Thankfully the universe helped me heed this warning by not having either of my calls answered! Hmmm…Only one melt down and one head wound! Debra talked about letting go during her Friday Hatha class and asked everyone to set an intention to let go of something that does not serve you. I knew immediately what I needed to let go of….frustration with my mother. It was a good and hard class. Afterward I felt centered and peaceful. The next day I woke up later than expected. In fact the entire household really slept in. I considered skipping my morning meditation because I wanted to get started on the painting at my mother’s house, but then thought that might not be a good idea. So I set my intention on patience and meditated for 30 minutes. We spent almost 6 hours painting the main floor of her condo. I was surprised at how well I handled everything. Well not everything, I did have 1 melt down. Before I tell you about the melt down, which was only 5 minutes of almost 6 hours, let me tell you about the things I didn’t react to. The week before she had a check for $397 that she had not deposited, and when I asked her about it and she didn’t know what happened to it. So I went searching for it. In my search I found: a check for $1800 from 12/16, 3 Kohl’s credit cards, 2 JCP credit cards, $300 cash in her purse, 2 driver’s licenses and she carries her SSN card in her purse. I found the patience to talk with her about all the stuff I found. I left with those 5 credit cards and the $1800 check so I could deposit it for her. She agreed to let me cut up the credit cards. The only thing she would not agree to is to let me put her SSN card in my safe. She kept saying she needed it to prove how old she was (really, no birthdate on a SSN card) or some place that she couldn’t remember always asked for it. I pushed a little but then let her win that battle. I’ll bring it up again because of the potential identity theft. After all of that, I got back to the task of painting. It seems like every time Kim and I embark on a remodeling project someone gets hurt. Well this time it was her. The ceiling fan was on high to help move the paint fumes. Somehow she put her head into it! She has a nice head wound but her bangs will cover it. That isn’t nearly as bad as the time she dropped a small crowbar on my head when we tearing down paneling! We were getting close to wrapping up work for the day. I’m putting things back in order while Kim finishes up painting the last small wall. I put the shade back in the window and then start working on the funky curtain sheers. Mom comes over to help me because neither one of us is sure of how to get it like it was. There is another bar that goes over the window with one long sheer curtain. I hang that up and my mom tells me it’s backwards. I don’t think it is but I turn it around. We drape the other curtain around it then she says that same one is backwards again. I explain that I just turned it around but she is insistent. So I turn it around again, which isn’t easy. Then we messed with the other curtain for a few minutes and she says that same one is backwards again. I try to explain to her that we have now turned it around 3 times. She says I didn’t and the melt down ensues. I’m tired and exhausted and can’t understand why she cannot tell that it isn’t backwards because the tag is facing towards the window. An “F” bomb or 2 fly while I take it all down with great frustration and am ready to throw it out the door. Kim in her infinite wisdom comes to my rescue and takes the curtain. I then retreated to the roller and kept the painting going. She was very patient with my mom and I kept rolling that paint. On the way home we had a really good laugh over my melt down and mom didn’t seem too phased by it. I call that one small step forward! Setting an intention is a powerful THING. I do believe setting an intention to let go of my frustration during the yoga class followed by an intention of patience lead to a very successful day preparing my mother’s house to be sold and for overseeing her financial situation. I know that Hatha Yoga class was one of the best classes I have had in a long time. I felt more than just centered and peaceful; I felt strong. I don’t consider my melt down as a failure but just part of the journey. In the end it meant nothing and it did not hurt or impair our relationship. As I procrastinated getting out of bed this morning, dreading the inevitable I began to think about my twins when they were infants; giving them 2 bathes each day, going through countless diapers, multiple messy feedings and endless chatter, smiles and laughter. Those are moments I will always cherish. Now dealing with an aging parent suffering dementia, the tasks required to take care of someone are not joyful for me right now. In fact they are downright frustrating. Last weekend I spent 5 hours analyzing my mother’s bank statements only to conclude she is spending quite a bit more than she is bringing in. Today we went to see about a debt consolidation loan. Luckily she was able to get a little more than half the money needed to pay off her credit cards in an unsecured loan. My challenge is how do I take over her finances? At this point she won’t give them up but I have to get her there somehow. I can take her credit cards from her but then she’ll forget I have them and order a new one. On her bank statement there were 5 charges over 7 months for a debit card replacements with 2 of those expedited. I thought I had an excellent idea to get her a prepaid credit card to use for her spending….groceries, prescriptions, etc. She rejected that with no real reason. We’ve had several discussions about her spending. She gets her hair done twice a week because she has trouble lifting 1 of her arms over her head. The salon charges $15 a time and she tips the gal $10! I have tried to impress upon her that a $3-5 tip would be more appropriate especially for someone on a fixed income and in debt. In doing her budget, I realized she must reduce her spending by at least 30%. Now that may or may not sound like much but it is going to be a serious challenge. Take grocery shopping, if she writes a list she doesn’t take it with her. She doesn’t even look around the kitchen while writing the list. Right now she has 5 bottles of syrup (and she doesn’t cook anything that requires syrup), 6 bottle of salsa, 8 boxes of cereal…well you get the picture. If I can get her spending under control she can get the 1 bedroom apartment with assisted services. I really want that for her instead of the studio. The 1 bedroom will give her more dignity and feel much more like a home. In fact, today I decided this is my new year’s resolution. Somehow, some way I’m going to make this work. My mother is my greatest teacher right now. She is teaching me patience and I’m apparently a slow learner. Last Sunday she asked me 7 times what day it was over the course of 2 hours. Then she called me as soon as I got home and I answered the phone with “It’s still the 12th Mom.” She laughed at that at least but then didn’t remember why she was calling. Why is it that taking care of your children feels like a blessing but not so much when caring for your parents? You might be thinking how selfish I am and I get that. I have many friends that have lost their mother’s and would do about anything to have them back. I am very grateful to have my mother here and even grateful that I can help her out, but I’m very frustrated with what it takes to do so. I’m trying to find some joy in coping with the changes and challenges. I’m out of my comfort zone with this. I am not the caregiver type. Kim and I have had these discussions. She has cared for someone through cancer and is good at that. Her fear is what happens to her if she gets sick. I told her not to worry; I would hire someone to help. Now that was a joke, but I was also half serious! My mother has had many surgeries due to issues with arthritis (2 rods in her back, knee replacement, hip replacement and both shoulders replaced). I have given her showers, helped her get dressed and so on. I didn’t like doing that but I did it. Those had an end date…a date when she would be recovered from her surgery and take care of herself. Now it feels like I’m taking over her life until the end. I shed a few tears almost every day when I think of her. The tears are for her and not me. I can’t imagine how she feels knowing that her mind is failing her and she has the intelligence to know so. I have many lessons to learn on this journey and am not sure what they are all yet. So for now it is one day at a time. Each morning I think of at least 5 things I am grateful for before I get out of bed. One constant right now is yoga. I love the athletic challenge yoga presents but even more than that is the connecting of mind, body and spirit. 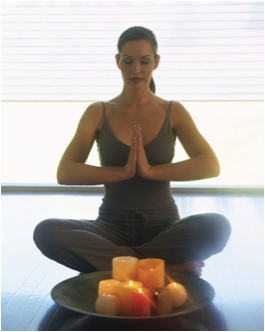 Yoga keeps me centered and balanced. I really need that now! Are you dealing (or dealt) with aging parents or are you the one that doesn’t live in the same area and rely on another sibling to do so? How do you cope and find joy? Any advice for those navigating this situation? I saw many benefits from doing yoga and pilates during my pregnancy, the benefits were not only physical but mental as well! It helped stretch my hip flexors and keep my back strengthened so I did not suffer any back pain. I was more relaxed, slept better, and kept my blood pressure low which reduces risk of possible complications like preeclampsia. Another benefit of JoyfulBreathYoga.com was having access to online classes. What a blessing! I could fit in a workout anytime of the day that was convenient to my schedule. Also it was nice to be in the comfort of my own home towards the end of my pregnancy when it was getting a little more difficult to move 🙂 There is also a great selection of different yoga levels to choose from so depending on my energy level I could pick one appropriate for that day. Debra has been a huge inspiration to my yoga practice and I would like to thank her for her wonderful classes and encouragement! Diesel Thomas McElroy was born 10/31/13, he weighed 7 lbs 14 oz and was 19 3/4 inches long. He is a happy and healthy little boy! Online Yoga - How my family benefits. 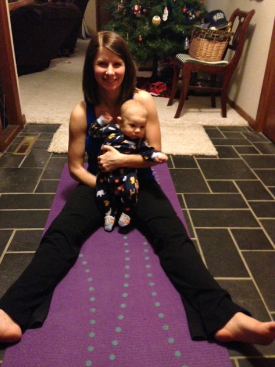 Online yoga has been a lifesaver during my pregnancy. The farther along I progress through my pregnancy, the more hit or miss my energy levels have been. Having the convenience of yoga anytime I want or need has been perfect for any energy level. A more challenging Hatha or Vinyasa Flow for the days I have lots of energy or a Gentle Yoga for the days I want to move, but maybe don't have the energy to spare for an intense session has been a great solution to keeping me active and stretched out. In addition, the varying class lengths have also been a nice compliment to the types of classes, from 20 minutes to 75 minutes, there is a class length that I can easily fit into my day as a full time working mom. As a wife, mother of two, soon to be three kiddos, full time employee working 40+ hours a week, online yoga is a nice reset for my husband and myself. Life is crazy and often times, focused time with my husband is at a minimum. 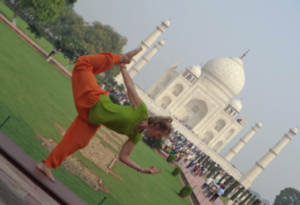 Online couples yoga allows us to be together whenever we can fit it into our schedules. Some days it's early in the morning before the kids rise and other days it's late at night after they are in bed, regardless, it is time we look forward to and appreciate the convenience online yoga provides. In addition, Debra's sessions are always filled with encouragement and a positive spirit which allows us to really breathe deep, reset our minds with patience and gratitude, as well as build strength - a perfect combination for feeling strong and refreshed after any session. 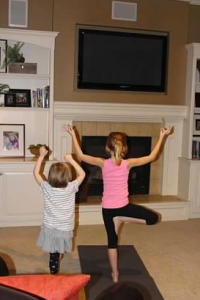 Our two girls are huge fans of the pajama yoga & kids yoga - their favorite is child's pose and tree pose! We love that it's a simple way to keep them active, especially in the winter when we are cooped up inside.. We also love that it's something they can take with them throughout life as you can make it as restorative or challenging as you like for your lifestyle. My week from God’s point of view. This past week while heading back home from dropping my son off at a friend’s house, a car suddenly pulled out in front of me from an exit ramp. I t-boned her car and then she spun around and hit us again in the back. My car was heading straight into oncoming traffic and there was nothing I could do to stop it. Then, suddenly we stopped on the median. I will never forget this moment. I was immediately filled with gratitude that both my daughter and I were alive. I was diagnosed with severe whiplash and amazingly my nine year old daughter Jenna was completely unharmed. My week has not been what I planned. I have had to cancel all of my classes and clients which immediately brought me stress – I am not getting paid this week. Then, I had hours on the phone talking with numerous insurance agents and doctors. My car is totaled. In my mind I am thinking, just one more year and my car was paid off. January is the biggest month for fitness and I can’t move or teach. I was letting myself get weighed down with anger, resentment and depression that this has happened to me. Yesterday, after talking with my dear friend Toby, she reminded me that I needed to let go of these negative emotions as part of my healing. This is the same advice I would and have given to friends and students. These are the answers that came to me. 8. Trust me Debra, It will be okay. I am crying now as I write these words, emotions finally coming out. This past week, I have asked my classes to make a list of the 10 things they are grateful for in their lives and also write a word or phrase that will guide them into 2014. My words are – “TRUST, FAITH, COURAGE”. I had not completed my gratitude list and I now know that is because I needed to be able to add – “MY LIFE”. Spice – and herb – up your meals! I have used a lot of spices to make this gravy. Everyday herbs and spices may do more than enhance the flavor of food. Relatively small amounts of dried and fresh herbs and spices have a lot of health benefits. Antioxidants, the hottest topic to hit nutrition in years, have cropped up in a host of whole foods—fruits, vegetables, nuts and grains. Now a recent study indicates that a surprising category of plants should be added to the list: herbs and spices. Heat a pan and add red chillies, coriander seeds, cumin seeds, black pepper corns, roasted gram and dry roast till slightly golden brown. Then add onion, tomato and saute till onions turn golden brown and tomatoes raw leaves. Finally add in coconut and saute till browned. Cool down and grind it to a fine paste(sprinkle little water). Add chicken, salt, turmeric powder, curd in a mixing bowl and marinate for atleast 1 hour and set aside. In a pressure cooker heat oil, add cardamom, cinnamon, cloves and saute for a minute. Then add onion, tomato, garlic, curry leaves and saute for 2mins. Then add the chicken and saute it for 10mins at least. Then add the grinded masala paste and mix well. saute until raw smell completely leaves and the chicken blends well with the masala. Add 1/2 cup water , required salt (add red chilli powder if required at this stage) and pressure cook for 2 whistles in medium flame. Once pressure releases, transfer it to a kadai (in medium flame) and allow it to boil until oil seperates (this may take sometime). Garnish with corriander leaves and switch off as per your required consistency. It gets thick with time so switch off accordingly. The spice level can be adjusted to what you like.Serve hot with rice or rotis. Tastes good with both . Cumin seeds not only add taste to food but also are very beneficial for body. Also known as jeera, these cumin seeds have been extensively used in culinary preparations in the Indian subcontinent since ages. 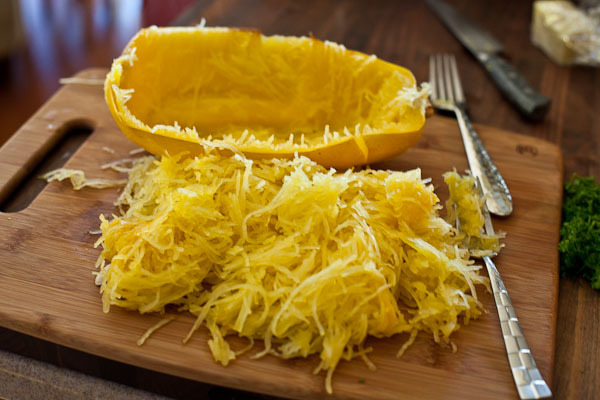 - It is a rich source of iron and hence very beneficial for anaemia as well as lactating mothers and pregnant women, who tend to need iron more than others. - It is a great aid in digestion and prevents indigestion, flatulence, diarrhoea, nausea and morning sickness. - For immediate relief from acidity, chew a pinch-full of raw cumin seeds. - Cumin seeds have antiseptic properties and aid in curing common colds. - It doesn't let cough to form and collect in the respiratory system. Since it is supposed to be hot, it dries up all the mucous. - It would be beneficial to sip on a concoction of cumin seeds and water. Boil a handful of cumin seeds along with water. Drinking this water wards off common colds and keeps the digestive system on track. 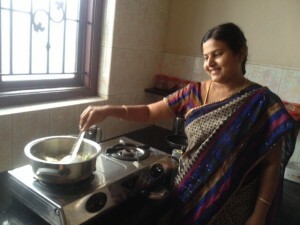 Many South-Indian households drink only 'jeera-pani' instead of sipping on plain boiled water. - Cumin seeds help in stimulating the secretion of enzymes in the pancreas which in turn help in the absorption of nutrients. - Cumin seeds also boost the power of the liver to flush out toxins from the body. So, make it a point to add a dash of jeera powder in your diet. Wash and soak basmati rice in water for 20 minutes. Drain and keep it aside. 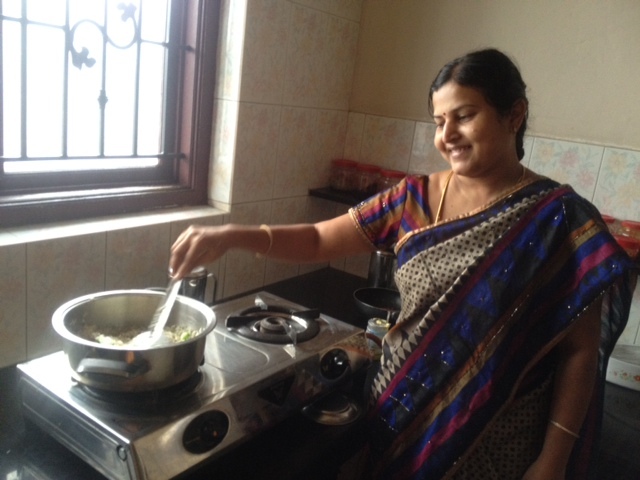 Heat butter + oil or ghee in a pan, add cloves, cinnamon and bay leaf, saute for a few seconds and then add jeera seeds. When jeera splutters, add the drained rice and fry for a few minutes. Add 2 cups of water, needed salt and cook rice till done. Fluff it with a fork and serve hot with any gravy of your choice. (Today I have made a chicken gravy to go with it. You can cook rice in a rice cooker or pressure cooker or in a pan with a lid. 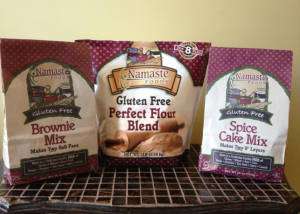 My most amazing brownies ever thanks to Namaste Foods Gluten Free Brownie mix. Brownies are, and have been for almost 25 years my staple, stand by, guaranteed to please everyone desert. I add in some chocolate chips and top with some powdered sugar and I feel like a true Betty Crocker. 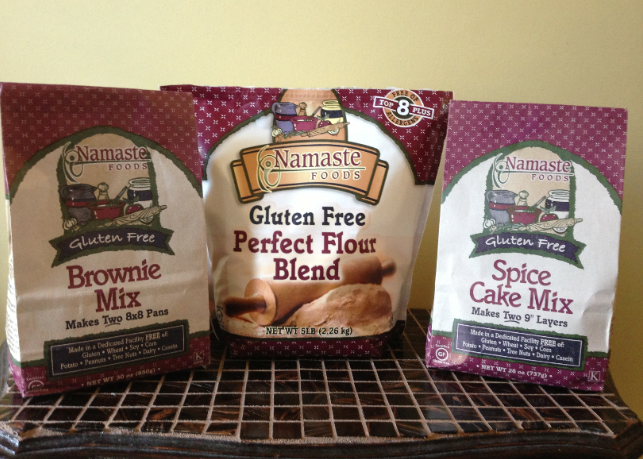 Namaste Foods has created a Gluten Free Brownie Mix that will now elevate me to an official “brownie goddess” with my friends and family. I actually went and put in my retainer so that I would not keep eating them. These are the moments when I am so happy I have four children and a husband that will devour them all. 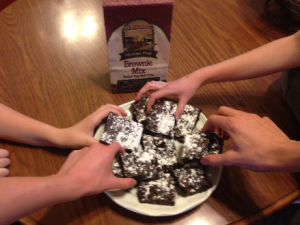 Daphne Taylor outdid herself with the magic creation of these brownies. 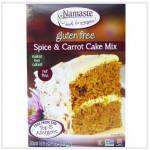 I LOVE that her gluten free brownie mix is made with brown rice, arrowroot and tapioca flour. 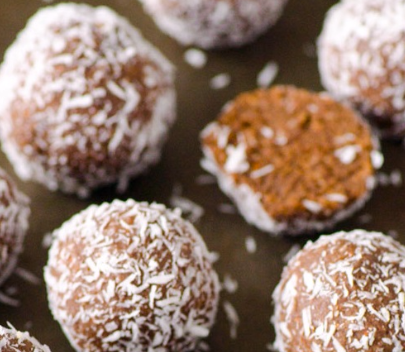 Bake these and prepare to be the favorite person in the room! Thank you Namaste Foods for another amazing product. Scrub potatoes clean. With skins still on them, cut into small pieces. Spray a large flat pan or 9x13 glass pan with cooking spray. Bottom part of broiler pan works great. Pour potatoes into pan. Pour 3-4 tablespoons of olive oil over potatoes and then stir so they are coated evenly with oil. Preheat oven to 400 degrees. Place potatoes uncovered into oven. Bake for 20 minutes, then take out and turn them over. Bake additional 20-25 minutes until done. Pour 2 tablespoons olive oil on potatoes and sprinkle with cayenne pepper if want them to have a little zing. To take to an event, line crock pot with foil and place potatoes in crock pot on warm. Enjoy! 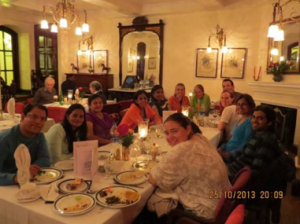 I am Anitha, writing a blog on our Journey of Joy Yoga Retreat – 2013. 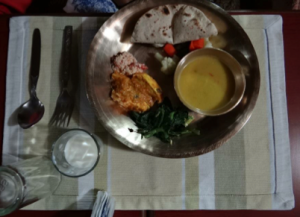 It was a ten day magical retreat with Mithra Amaran, Ashok Amaran, Debra O’Bryan, Thomas Seck, Raina Shanks, Julee Burton, Mew Natthahida Tancharoen, Jackie Torres, Dr. Jeyanthi, Mahesh, Vani Chenguttuvan, Nithan, Renu Anand and Me. A special word of thanks to Mithra and Ashok for organizing the whole trip and taking responsibility in all situations. Everything was thoroughly mapped and taken care of by Mahesh of Mondial Trials. The first day was very exciting, just managed to catch the train to Agra. 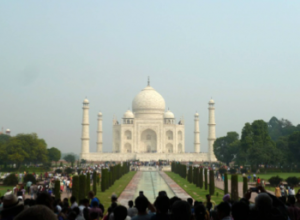 We visited the Taj Mahal, one of the architectural masterpieces of the world. 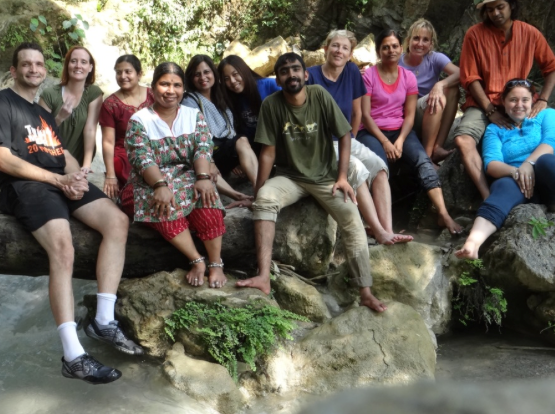 The next day, in spite of our flight being delayed, we made the best use of our time by doing a yoga session at the hotel and continued our journey to Rishikesh – The World Capital of Yoga. 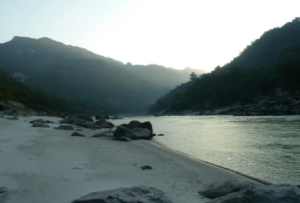 Nature’s beauty with the Ganges flowing just behind our resort provided the perfect environment for yoga and spiritual solace. We had two sessions of yoga everyday with Debra and Dr. Jeyanthi instructing us. 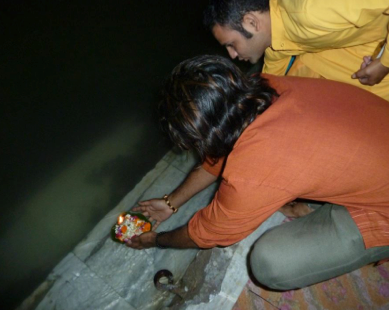 We performed the “Ganga Aarthi” at Parmarthniketan, which is a spiritually energizing divine light ceremony filled with bhajans and prayers after which diyas are set afloat in the holy waters, thanking Moa Ganga for all that has been bestowed on us. After feeling totally rejuvenated we left for Sikkim. From our flight we were lucky to view Mt. 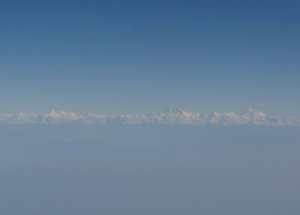 Everest and the mighty Himalayas in all its pristine beauty. 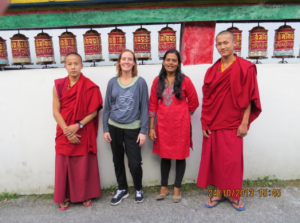 We visited the Rumtek Monastery near Gangtok which is a Tibetan Buddhist monastery and the focal point of the Karmapa controversy. Special prayers were going on and we meditated with the monks at the monastery. Complete tranquility at Teen Taley resorts was just what we needed for doing yoga. 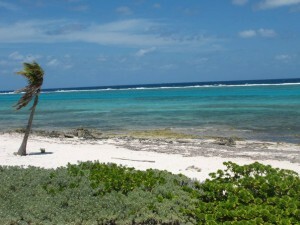 Debra and Dr. Jai conducted many yoga sessions at this peaceful haven. We also practiced Tratika meditation with candle lights, cooked dinner with the organic vegetables grown at the resort and practiced MINDFUL EATING. A healthy attitude towards food isn’t just about what you eat, but how you eat it. As we practice mindful eating we become aware that we don’t need to eat as much. Debra leads the class with a blend of high energy compassion. Her voice is always there to support and guide you in the yoga practice. 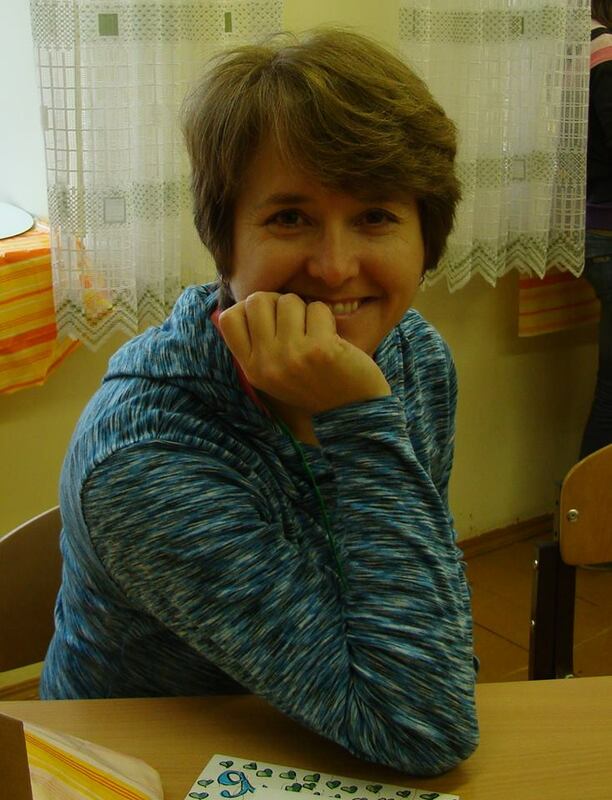 Her dynamic teaching style is an inspiration to all who attend her classes. She is always effervescent and her excitement flowed throughout the journey. Dr Jeyanthi, Director – Samhitha Naturo Therapy center and Yogasala, organized Vinyasa yoga sessions as well. Her vast knowledge, skills and expertise in Health, Nutrition, Yoga, Stress Management, Weight Management, Ayurveda, Aromatherapy and many more fields definitely need to be COMMENDED. As Debra says, Dr. Jeyanthi is “A Lady with a mission”. 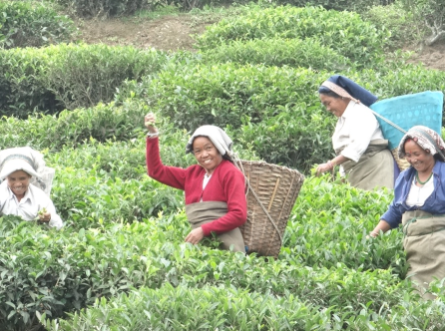 From Sikkim we went to Darjeeling – The Tea Gardens. 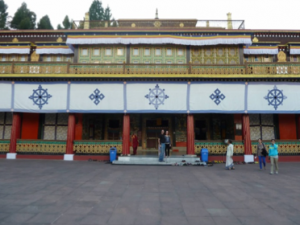 We enjoyed a Joy Ride in a steam engine toy train and visited the Yiga Choeling Monastery at Ghoom. 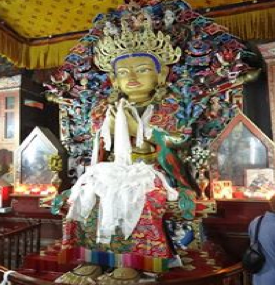 There is a 15 feet high statue of Maitreya Buddha – (Coming Buddha). The last dinner we had at Elgin was most memorable. On the last day or our retreat, Debra organized a yoga session which turned out to be the best. Debra ignited “momentum” as Jackie soaked the ambience with “spirit” by giving a live music courtesy. The experience was totally awesome with the body, mind and soul being rejuvenated. Thanks to Tom and Nithan for the visual treat from their digitals. The pictures speak for themselves. Well, words are not enough to express what I feel at the end of one of my most memorable journey. I will always cherish the precious moments we had together. May the good vibe this journey generated stay with us always. All good things must come to an end for the better ones to follow. Let us keep the Journey of Joy TICKING!! 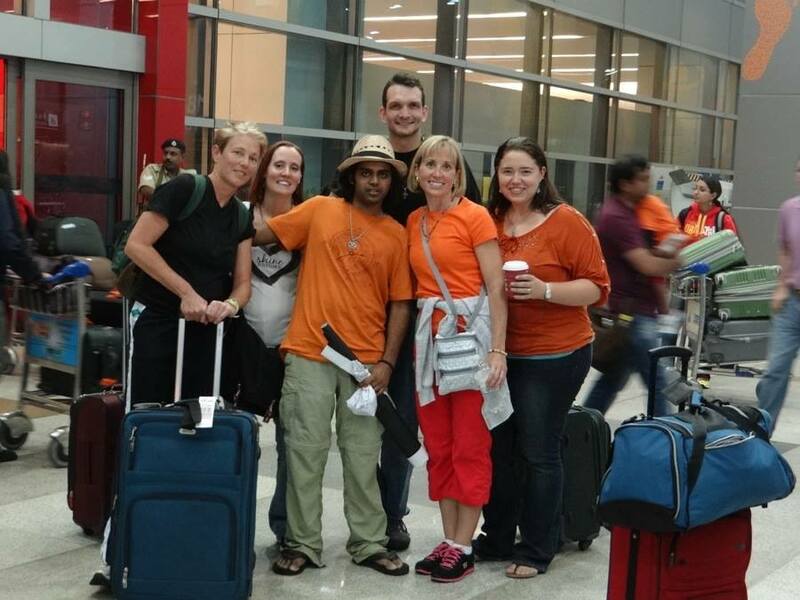 We began this Journey in Delhi, all arriving at the Airport. 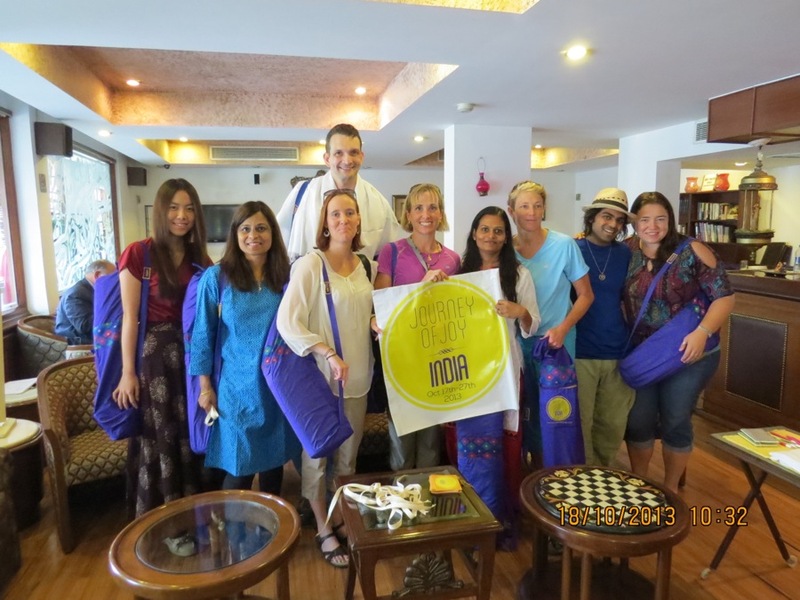 We all received our handcrafted gifts before starting our Journey towards Agra to see the majestic beauty of the Taj Mahal. In Agra, we took in the wonder of the architectural masterpiece of the Taj Mahal. After some unforeseen delays with flights and later elephants crossing the highway, we continued the journey to the "Birthplace" of Yoga at the foothills of the Himalayas and the banks of the Holy Ganges River at Rishikesh. 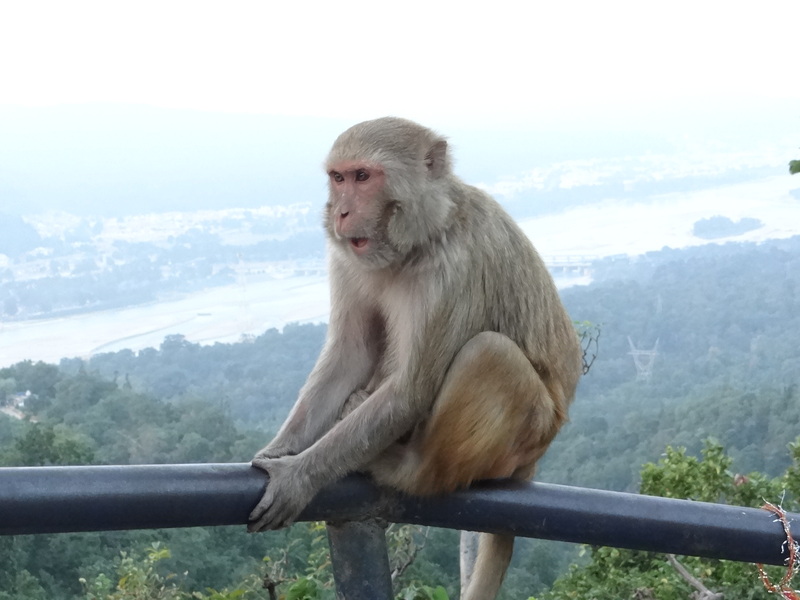 After a few relaxing days on the banks of the Ganges, we headed east to Gangtok. High up in the mountains of the Himalayas, a mere 50 miles from China, we soaked in the serenity of this Sikkim region that is heavily influenced by Buddhism. 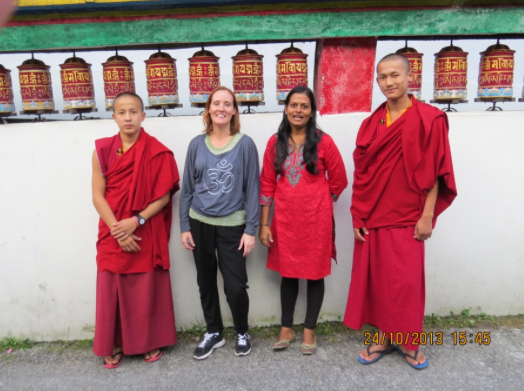 We meditated in a monastery, chanted with monks, and practiced Yoga in the crisp mountain air. We ended the final day with a very special Trataka meditation in front of a candle. 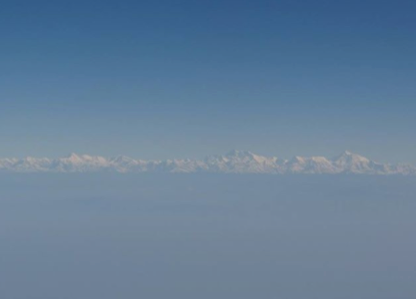 Later on the Journey, a few hours from Gangtok, we headed to the famous town of Darjeeling. This classic English town was the epicenter of the Tea cultivation by the British in India. 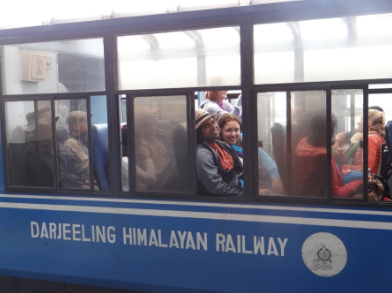 We enjoyed a relaxing ride on a steam engine Toy Train through the city and enjoyed cups of authentic Darjeeling Tea in the city. 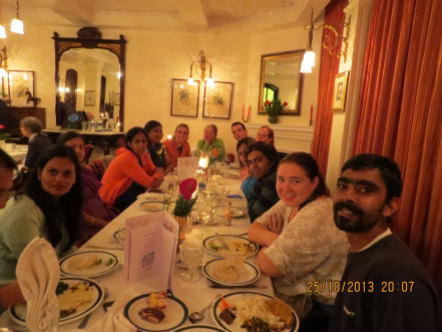 Our final dinner was enjoyed in a beautiful resort which was previously a palace of a Maharaja. We all reflected on the experiences and revelations within ourselves on this Retreat. The highs and lows and the moments we will all hold in our hearts for years to come. The next morning, the last full day of the Retreat, we all gathered together for our last Yoga session of the trip which turned into one of the most highly energetic and powerful sessions for all our attendees. We enjoyed live music courtesy of Jacki Torres, connected deeply with our last cards, and flowed with our breaths... rooting intentions close to our hearts. Our Inaugural Journey of Joy Retreat was a resounding success! We want to thank all those involved who made this Retreat possible! Mahesh from Mondial Trails(link to http://www.mondialtrails.com/) kept all our transportation and lodging logistics organized for us throughout our Journey. 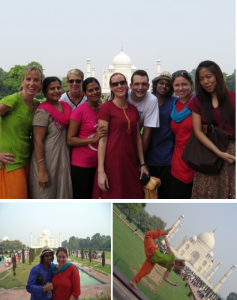 Including an exciting adventure of running at 5am to catch a train to see the Taj Mahal! Nithan Chandraskar was incredibly helpful keeping all our attendees informed on details each day. He kept everyone comfortable and also helped immensely with photography and videos during our events. Vani was instrumental in organizing all the items we handpicked and curated for our attendees for this trip. From the handwoven Yoga bags to the printed itinerary on handmade paper, she found the highest quality artisan crafted materials that were all made with love. 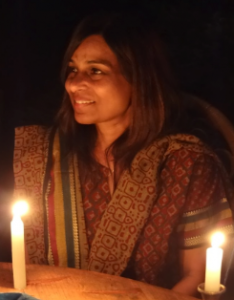 Mithra Amaran was a savior in the weeks leading up to the Retreat; finalizing logistical details closely with Mahesh and making sure everyone had everything prepared and packed before leaving for India. Throughout the Retreat she worked with Mahesh to make sure all logistics stayed on track and that everyone was comfortable with accommodations while the Retreat was going on. There were many others that were helpful in making this Retreat possible and we're so grateful for their contributions! Stay tuned the next couple of weeks as we post personal reflections from the attendees of our inaugural Journey of Joy Retreat! Debra and Tom approached me about Joyful Breath Yoga in an effort to demonstration how their program could be a success for a competitive cyclist. 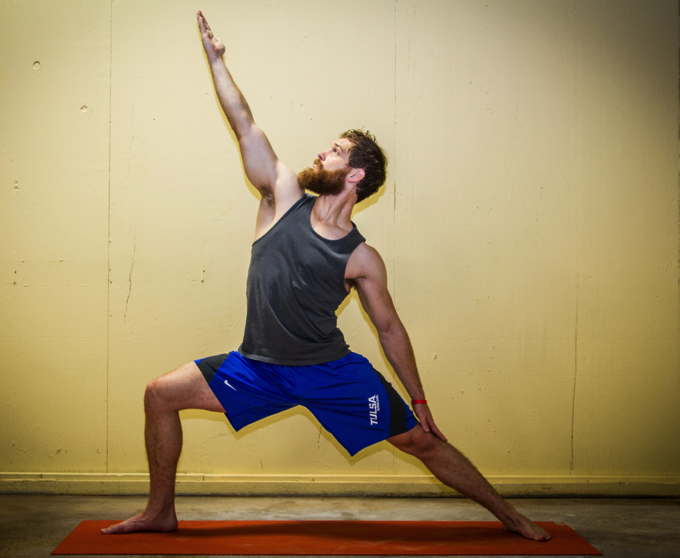 I had heard about the professional athletes they were helping with their programs and was intrigued by the benefits that yoga could provide for me. The hope was that the program would help strengthen my core and build any weak areas that cycling uses but does not build. I wanted a competitive edge! 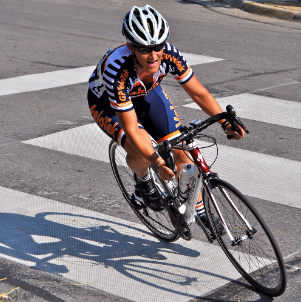 At the time I had just moved up to an elite amateur road racing cyclist and cyclocross racer. This required me to increase my training to 10-20 hours per week while covering anywhere from 180-350 miles per week. In cycling terms, I had just upgraded to a “Cat 2” and was now going to race against top amateur athletes in the county and even some domestic professionals on a weekly basis. Along with a full time job, I was going to be faced with a test of determination and dedication to ensure my body and mind were properly recovering before, during, and after the season. Throughout my previous training, I was doing some exercises off the bike, but, for the most part, my strength and stability training was lacking. Bicycle crunches, pushups, and a few stretching routines were staples, but something was missing. 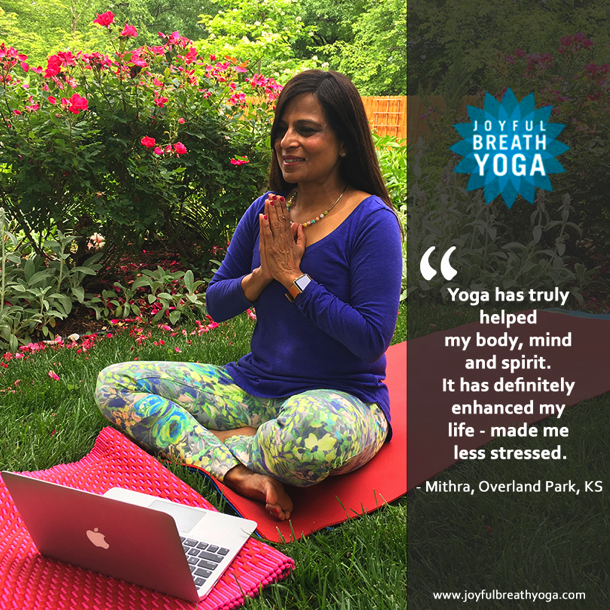 Joyful Breath Yoga came along at the perfect time and I invested myself into the 12 week program and beyond to supplement my rigorous training schedule. The program I followed varied based on the number of hours I rode each week, but the following is the basic outline that was the most beneficial for me. Once per week I logged in and followed a Hatha Flow, Pilates, or Core specific workout for an intense full body workout. These workouts are very hard and generally require a day or two of recovery. I try to put these early in the week so that I would be recovered for any weekend racing or intensive training efforts coming up. Planning is essential! Along with these full body workouts, I incorporated yoga into my everyday life. I worked on stretches that I learned from Debra throughout the day and used several of the restorative yoga sessions to help loosen my tight muscles and prepare myself for the next day’s training. My body is typically very tired throughout the racing season, but incorporating core exercises during build blocks was important to keep my body tuned and strong. I would follow along the “purple ball” core strengthening exercises and utilize the online videos to ensure that I stretched and rolled my legs adequately. I found that without the online sessions, I would short change myself on the amount of recovery routines that I was doing! The time commitment was there once I started a session and I was forced to relax, breath deep, and let my entire body relax. (It doesn’t seem forceful once you start the session!) It’s a beautiful system and it’s from the comfort of my own living room. Time and energy are severely limited based on my schedule and I can easily log in and knock out a session with the unlimited online access. This is a transition phase for road cyclists while others are just gearing up for the cyclocross season. I treat cyclocross as a building phase and a fun time to rip up some grass and dirt. During this time I plan to heavily incorporate Hatha, Pilates and Power Core Fusion into my schedule as I will be cutting down my time on the bike and focusing on strength training for the upcoming road season. I guess killer abs, improved posture, and increased strength are just a bonus! Joyful Breath Yoga has been extremely convenient and I can work it into my own schedule with ease. Having 24 hour access to Debra's full library of streaming video is perfect for my active lifestyle. Debra and Tom are class acts and extremely motivational. They are what make Joyful Breath Yoga the success that it is. You can guarantee they will provide support and motivation throughout your yoga adventure. Try it! I dare you to improve your physique, mind, and health! Coming to the end of these last 12 weeks, I have experienced such a drastic, personal change as a result of my yoga practice. It is evident that the conclusion of these last 12 weeks is merely the beginning of a continuous life-long journey that I have now joyfully set upon. I have rarely used the word "joy" on a daily basis, until now. Perhaps it is because I have been holding back. Perhaps I never really knew what "joy" could be, or ever feel like. This is not to say that I have been some grumpy robot, mindlessly going through life. I have always thought of myself "EN-joying" life, with my kids, my wife and family and friends, my work. The difference in the two words is subtle, but it is tangible. Only until now, did I ever recognize that true JOY only comes from within. It cannot come from external things or places, or even people. It is this same internal joy that allows me to appreciate the wealth of gifts that have been bestowed upon me throughout my entire life. It is that same internal joy that allows me to accept and appreciate the challenges that will inevitably arise. Regardless of the external circumstances (with which I have no control anyway), my internal joy allows me to live my life to its fullest possibility. I, and no one else, am responsible for my joy. Yoga has been my "joy conduit", "reﬁlling the tank" each and every time I complete my yoga for the day, and that has been an amazing feeling. I feel that I should give the particulars of my physical transformation ﬁrst, in that is the reason why I started this in the ﬁrst place. Looking back, however, that aspect is a mere fraction of the positive effects that yoga has had on my life. But, because that is the most outward sign of my success, I will indulge. In 3 months time, I have lost a little over 20 pounds and am pretty much at my ideal BMI for my age and build. My blood pressure has gone down, and my physician is quite pleased with my effort. I have had to purchase new clothes because of the change in my size. I have had to go with smaller size pants because my waistline has shrunk. Interestingly, I have had to stick with my same shirt size because while I have decreased in fat, I have increased in musculature. My shirts now have to be tailored to be narrower in the belly so as not to balloon out when tucked in, which is a nice problem to have. 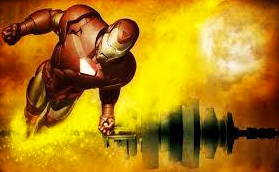 I have noticed that I am much stronger now than I ever was when I was going to the gym to lift weights. My balance is better and many people have noted that my posture has straightened. On the golf course, I have gained about 15-20 yards on my drives and have had a large increase in my accuracy. No longer is my back or my shoulders sore after playing 18 holes, it is deﬁnitely making the game much more fun! My vocal coach has also noticed a huge difference in the last 3 months. The muscles used to support proper vocalization are the same pelvic ﬂoor muscles that I exercise during yoga and pilates. The resultant strength that I have gained has helped support my singing and has changed my timbre (tone quality) of singing. He and others have described it to me as a much more rich, full sound that I never had before. Complement that with proper breathing techniques, and I have turned from someone who sings to a true vocalist. While all of these physical changes have been positive, I view them as merely a nice side effect of the much larger picture. Over these last 12 weeks, I have frequently encountered the idea of the BodyMind-Spirit connection. As a health care provider, I am very familiar with the human body and how a patient's mental state can affect their physical state, and vice versa. The truly exceptional beneﬁt of my yoga practice has been to calm my mind and thus enhance my focus. Like most everyone else in today's world, I am bombarded by sights, sounds, and stresses- work demands ( I run a very busy dental practice), family demands, TV, internet, etc. All of this mental hustle and bustle taxes the brain and makes it increasingly difﬁcult to focus on anything. Yoga helps me tune out the din of sensory distractions and allows my mind to relax, akin to a muscle relaxing. Once my mind is relaxed and open, free of distractions, I can then focus on a certain intention, whatever that may be. 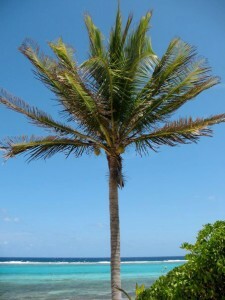 Being able to focus on a singular intention, free of all the mental clutter, can thus bring about any desired effect. Those breathing exercises are now an excellent coping tool for real world stressors and I have used them in a great number of situations "off the mat." It seems very trite and maybe even a little "preachy" to talk about these MindBody-Spirit connections and not give any real world examples. I have always been a ﬁrm believer that anything that happens in life happens for a speciﬁc reason at a speciﬁc time. Life's sometimes cruel irony never ceases to disappoint, as is my case. Towards the end of my 12 week yoga journey, life presented me with three very distinct, very different, simultaneous crises that truly tested me and everything that I had learned over the previous 3 months. The combination of a close family member being diagnosed with breast cancer, the ongoing crises of raising two teenage kids in today’s world, and a personnel change at my ofﬁce all happened within a span of 10 days. Having faith that I started this yoga journey at precisely the right time, I vowed to myself to use the tools that I have been given in yoga to effectively deal with these issues. Looking back, I cannot help but laugh. When life was throwing challenge after challenge at me, I was able to face them head-on and, moreover, even prosper and grow in the midst of them. THAT is what yoga can do! The third part of this process has been my spiritual journey. I have been and always will be a spiritual person. I have been raised a Roman Catholic and continually enjoy practicing my faith. 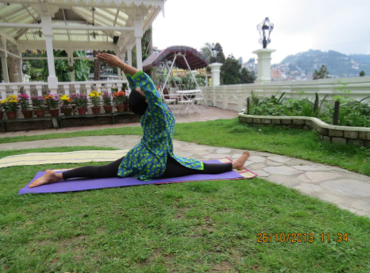 The spiritual nature of yoga was the part that came easiest for me. The silence of the guided meditation was refreshing to my soul. The books that I have read regarding yoga and meditation continue to reinforce and strengthen my nature as a spiritual being and being a part of something much greater than myself. Speaking to a lot of my friends who know me, they have questioned whether doing yoga is at odds with my faith. I tell them, wholeheartedly, NO. On the contrary, yoga has been a tool to allow me to grow and develop my faith on a much deeper level. I have found that I can concentrate much better during my worship and that my prayers have much more intention behind them. This is something that, as I continue to move along my journey, I can explore and discover new levels of joy and love as never before. To say that I am a “transformed” person, does not do these last 12 weeks justice. I feel we are constantly transforming and evolving, whether we want to or not. What I have accomplished over these last few months has been a discovery of what was actually in myself all along. The fact is that this ability is in each and every one of us, as long as we open ourselves to it. It also takes a very special person to recognize this in each individual. For that, I owe a lifetime of gratitude to Debra. She has a gift of helping people realize their own potential, and motivating them and guiding them along their journey, whatever journey that may be. The light of her joy burns brightly for all to see, and one cannot help but to be joyful in her presence. I pray that as time goes on, my experience can be an example of what is possible. Namaste. The benefits of regular physical activity are numerous and well-documented. It has been said that if there was one pill to cure almost all ills, it would be exercise. However, the knowledge of how important exercise is for our mind, body, and soul does not always translate into the life-long habit of staying physically active. Many challenges that people face as they begin to embark on a journey to physical fitness may be overcome by setting realistic goals and expectations, and also by having an understanding of their own preferences and physical capabilities. The first rule of any exercise program is that it must be enjoyable to you. Remember that wellness is a lifelong journey, and if you take up an activity that you dislike, the chances of maintaining it are slim. Think back to what you enjoyed doing as a child, as a teenager, and into adulthood. If you had to pick an activity to do just for fun, what would it be? 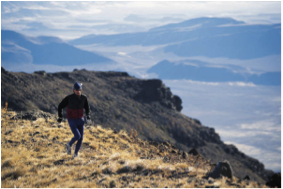 Exercise can happen outside of a gym and off a track. Maybe you enjoy reading, and don’t want to give up your free time to exercise. Consider downloading audio-books and listening to them while you walk, run, or bike. This is a great way to do something you already enjoy, while also staying active. You may find that you look forward to your daily workout even more, if you know you will get to hear the next chapter in your book! Now that you have decided what types of physical activity might be enjoyable to you, you must schedule the time for them. 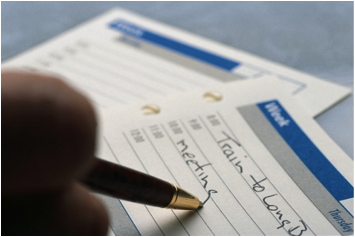 A good rule is to schedule your priorities, instead of prioritizing your schedule. Make sure you fit physical activity into your schedule, and write it in just like any other important appointment that you can’t miss. If you know you have trouble staying accountable, find a friend to work out with, or post your schedule around the house so family members can see when you are unavailable. When you make wellness a priority, those around you are more likely to do so as well. As you begin the activity of your choice, remember to exercise and move at the fitness level you are at currently, not at the fitness level you hope to someday be. People often make the mistake of starting too hard and too fast with any workout program or new physical activity, because they are highly motivated and inspired as they begin. If your body is not ready for the sharp increase in physical activity, you will be more likely to become inured, overly-sore, or just burned out on exercise. It may seem too hard, and many people quit before real gains are made, and before physical activity has become a habit and part of their life. Instead, start slower than you think you should. If you are not a walker, but want to start walking, start with a 10-15 minute walk, instead of a 30-45 minute walk. If you would like to begin yoga, start with a beginner’s class. This will ensure that you retain your confidence, and your desire to keep coming back. This can also help prevent injuries that can occur when you push your body too hard, too fast. As you increase your strength and endurance, you will naturally be able to do more and exercise longer, and you will feel great doing it! You’ve heard it said a million times, at least: Breakfast is the most important meal of the day. The truth of the message can get lost in the repetition of it. But, breakfast really is the most important meal of the day. Why? Breakfast jump-starts your metabolism after fasting for 8-10 hours at night. When the body is in a prolonged fasting state, it compensates by being very efficient at burning calories, meaning you burn fewer calories doing the same activities, and you have less energy to do those activities. Many large, epidemiological studies have shown that breakfast-eaters overwhelmingly have healthier weights than people who skip breakfast. 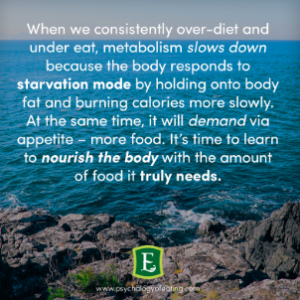 There are many reasons for this, including the body’s starvation response described above. Also, those who skip breakfast may feel hungrier later, and be more likely to choose high-calorie foods, more than making up for the calorie deficit they may have created by skipping breakfast. Research also shows that when we are very hungry and our blood sugar dips, we tend to choose foods that are very high in carbohydrates. These are typically not the most filling foods, which may lead us to overeat later, as we experience hunger again. People who eat breakfast report fewer cravings throughout the day, and eat fewer calories overall than people who skip breakfast. Unfortunately, even with all this compelling evidence, many people still skip breakfast, especially teenagers. According to a survey by Kellogg’s, 50% of middle-school-aged children, and 64% of high-school-aged children skip breakfast. 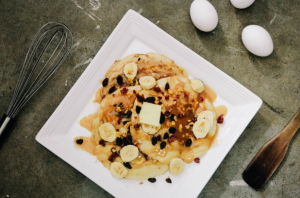 Not only does skipping breakfast make it hard to maintain a healthy weight, but it’s nearly impossible to get the recommended daily intake of fiber, calcium, and vitamin D.
The most common reason cited for skipping breakfast is lack of time. In the morning rush, getting a good meal prepared for everyone in the family can seem overwhelming. However, with a little bit of planning, even the most time-crunched family can have a healthy breakfast every day. Here are some quick, healthy breakfast ideas, sure to please. 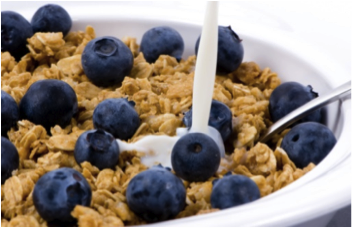 You can use whole, quick oats, or higher-fiber steel cut oats. Steel cut oats take longer to cook, so prepare a large batch on the weekend, and warm up what you need each morning with a little milk or water. Add milled flax seed, chopped nuts, fresh fruit, and cinnamon or nutmeg for a filling, tasty meal. 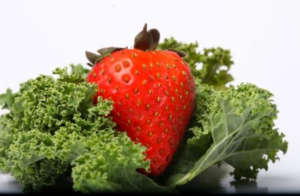 Blend your favorite fresh or frozen fruit (no added sugar), plain yogurt, a splash of juice and a dark green leafy vegetable like spinach or kale in a blender or food processor. 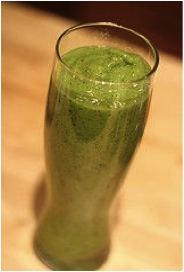 Even kids will love this tasty drink, and the bright green color is an added bonus! Keep a stash of hard-boiled eggs in the fridge for busy mornings. 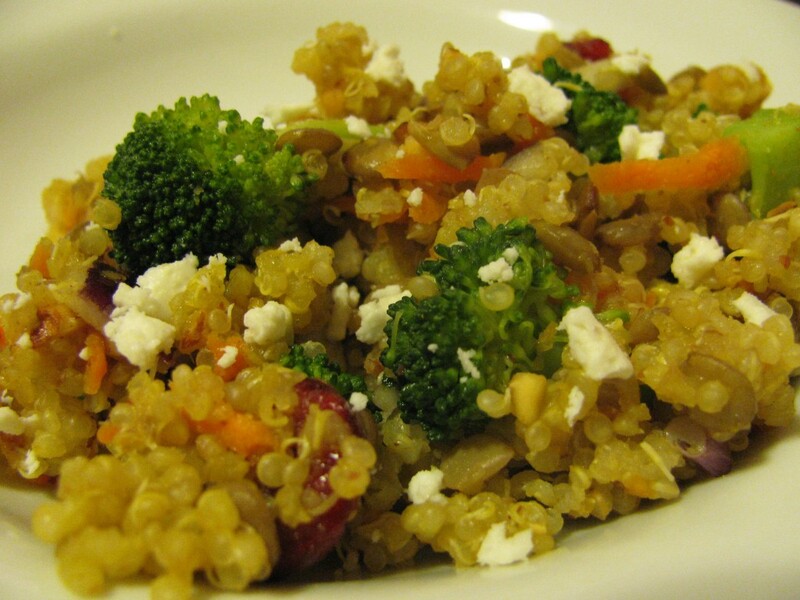 Pair with a piece of fruit and a glass of milk or some yogurt for a quick, easy, complete meal. *Physically, it can be demanding or gentle, whatever your needs. *Internally, it massages organs and is good for your heart and lungs. *Mentally, it provides a way for concentration and relaxation to be a focused part of your workouts. As a physically active person, I’ve been practicing yoga for a few years now. Actually, I’ve been ‘doing’ yoga for a few years; it’s only been within the last year that I really felt like I was actively ‘practicing’ it. I didn’t know the difference until I got there, and I would fail if I tried to explain it - - but you know it when you get it. Viewing yoga as a workout was a stretch for me as an athlete, because in the beginning, I really didn’t see it as a challenge, and I didn’t know how I was going to be a bigger/faster/strong because of it. However, as time progressed, and Debra pushed/prodded me, I came to view this as not only a GREAT workout, but one that I would prefer over others if given a choice. In fact, without lifting a weight, I am substantially stronger; without bouncing a ball, I am more coordinated and balanced; and without a competitor on the other side of the net, I am more focused and goal oriented than I ever have been in terms of fitness. Yoga is truly a way I have become a master of my own workouts, so to speak, and my mat is a place where I know I am completely and totally in control, no matter how I’m feeling or what happened in the course of my day or what I’m physically capable of in that moment. As a coach of young, female athletes, I wanted to give them, well, all of that. But, it’s a difficult task; that’s a lot to digest, much less master, and you can’t MAKE people like it. So, I have sprinkled in yoga/Pilates activities for the last two years, but in a very isolated way, just trying to give them some exposure to and knowledge of it. 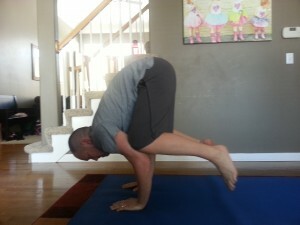 I started implementing yoga into our workouts in a very concentrated manner a little over a month ago. My reasoning for this was two-fold: 1.) Yoga is good for you (see above) and will complement our volleyball training. 2.) Yoga is a lifetime activity; long after their volleyball careers are over, players can still have an active yoga practice that fits any lifestyle they choose to live. *I’m really good at down dog and cat cow. *I child’s pose (I know that wasn’t the question but I feel very strongly about it). *GOOD: Menasas/Childs pose BAD: Side Crow. Uggg. *I need to get better at flexibility and arm strength. So, basically everything. *I’m bad at Ben-ya-a-whatevers. And I’m not very strong. But I still look forward to going every day. Weird. *Well I WAS getting better at plank. Then she made you tuck your knee into it. Which made it HARD again. *Yoga helps your abs for volleyball. *I have gotten better at everything. It was really hard at first and is starting to be easier. Their responses proved to me two things: 1.) I have not done a very pointed job with either the vocabulary or with the reasons why I think yoga is important for them. Most thought they were getting better at their menyasa or benyasas or at any rate weren’t sure it was called a VINYASA. Most knew plank, but only a few referred to core strength at all, and I had thought that would be a major area in which they would notice an improvement. Granted, most knew down dog, they sure knew crow (and that it was hard), and ALL knew child’s poseAnd 2.) A LOT of the girls referenced liking, looking forward to, or getting better at yoga. This, ultimately, is what I was going for. I KNOW it’s a good workout, I KNOW they are reaping the benefits; yet, to get twenty teenage girls to agree that they LIKE something as a group, now that is a true accomplishment! One amazing thing about watching this group in this situation, is that they do have to fight through the challenge of learning a new skill. That’s not easy, because most of them are talented players who have always been one of the best on the team. But this yoga thing, they’ve had to battle through to even be able to be functional at it. It’s not easy, and it’s not something that comes naturally. It’s a really cool thing to step back and watch them strive to reach this new challenge that I’ve thrown at them, as individuals and as a team. More than once I’ve heard one say, “Man, I couldn’t do that last week.” I had a player injured a few weeks ago and she did not work out for one session. As she watched, she commented that she thought as a group, they were looking much better. Unsolicited. An unsolicited compliment from a teenage girl for her peers. Awesome. Many of them wrote something to the effect of it’s fun, I’m getting better at it, it’s a good challenge, or I like it. I’d like to see them get MUCH better at it. And we will. But this is a great starting place. If they like it, they will work at it. If they work at it, they will get better. If they get better, it will pay off, physically, mentally, and emotionally. 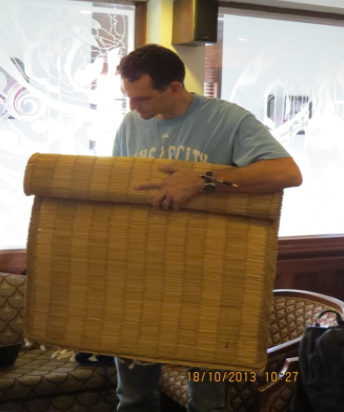 I’m looking for the payoff on the court with improved strength and an enhanced ability to focus. I also KNOW that the experience will make them happier, give them an outlet for working out, and help them face a challenge without backing down. It is often said that when beginning any sort of change in life, it is important to make little changes at first, so as not to be too overwhelmed. Simply said, you want change to be an “evolution”, not a “revolution”. This way, the changes made have a much better chance of affecting life in a more positive, long term way. At the beginning of this journey, I knew that I was going in a direction that I had never gone before, nor thought that I ever would. Trusting my instincts, I went along. The first four weeks, in retrospect, I more or less went through the motions. I was learning; I had poses to learn, new terms to learn, and most importantly I had to learn to read what my body was telling me. By the end of that first four weeks, I felt I had a pretty good grasp of the basics. I was also just beginning to see the “Body-Mind-Spirit” connection, though I was much more focused on the “Body” aspect at the time. At some point in time around my fifth week, I really cannot pinpoint the exact time, my yoga practice transformed. I had found that once my exercise was completed, I had experienced a calmness and clarity that I had never expected. At first I was very puzzled, even somewhat troubled, that I didn’t understand really what was going on. This feeling was elusive. Being the science-minded, empirical data person that I am, it bothered me that I could not measure it, quantify it, or ever try to predict it. I know that most exercises can induce a release of endorphins which can cause that “high”, euphoric feeling, but this was different. This was more a feeling of controlled contentment, not chaotic. Reminding myself that I started out on this journey with some blind faith, I now needed to continue with that same faith. In the following weeks, I focused on my “intention”, a word that Debra has used in every session that I have done. Thus while I was in a pose, or while I was breathing, I focused my intention on connecting what was going on in my body to what I was feeling in my mind. That connection at first seemed very contrived and even forced. Thinking that I was likely trying too hard, I decided to “let go” a little. I still focused, but I tried just to let it happen at its own pace, and that is when “it” happened. 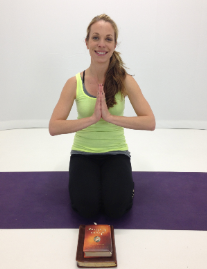 I was able to focus the intention from my mind and then manifest that same intention into my outward, physical poses. Then during the pose, I let the position of my body guide the intention back into my mind, thus creating this sort of positive feed-back “loop”. That is the best way that I can describe it. It was a shock to me that I was able to stumble upon this so early on in my experience. Nevertheless, I counted it as a blessing. Once I made that connection, and I knew that I had the ability within me, it became much easier to schedule my yoga time during my day. I wanted to make that time for me. This was my time where I could re-charge my batteries after a particularly difficult day, or I could celebrate and be thankful for a really good day. It is amazing how much positive reinforcement can motivate! Thus my yoga practice has taken off. I want/need to do my yoga. I have been doing some sort of yoga at least 6 days a week because it makes me feel good. It cannot be put any more simply than that. I am experiencing a sense of joy and peace that I never could have predicted or expected. Physically, I have dropped 15 pounds over the last 8 weeks and will have to be buying new clothes very soon. The increases that I have had in strength and flexibility are remarkable and I can see daily improvement. Poses that I could not do four weeks ago, I can now do with stability. At the beginning, I could barely bend down to touch my shins, and now, not only do I have the flexibility of touching my toes in a forward fold, I can now reach down to the underside of my feet! One of the biggest challenges for me at first was the balancing poses. I can now hold my balance much better, and it’s only going to get better because I can see it getting better each and every time I do it, all the while honoring my body. Other people have begun to notice the physical changes as well. With all of the positive changes in my body that are taking place, it feels as though they are merely an added benefit, a nice side-effect. It’s funny how the outward signs (weight loss, increased energy, physical appearance, improved posture), which were so important to me at the outset, have now taken a back seat as my motivation to continue focuses more inward.
! Ever the explorer, I continue to look forward to what yoga has to offer. I am just now beginning to uncover the third piece of the puzzle. That is connecting my Mind/ Body with Spirit. I can feel my journey leading me towards how I can take what I do and feel on the mat, and trying to apply that to the other parts of my daily life. And so the journey continues...Namaste. I find it fitting that I am writing this at the beginning of the year. I am constantly inundated from TV, radio, and the internet about resolutions to "lose weight" or "feel better about yourself". After a while the din of all those ads becomes white noise, and by the end of January, most people have gone back to their old habits anyway, myself included. That has been my story for the last couple of years. However, I have just begun to take the "baby steps" on a new path, and I have had the last month to get my footing on that path. I have never been one to be too retrospective. One cannot go forward while looking behind. That being said, I feel some perspective on my past personal journeys may lend some insight into my reflections on this current one. Prior to my 30th birthday, exercise and fitness was NEVER a priority. Growing up, no one in my family ever was an example of healthy living. On the contrary, I grew up in a house dominated by parents who smoked a pack of cigarettes a day, drank beer at noon, cocktails at five and wine before bedtime. That was each and every day of my life until I left at 17 to go to college. Not surprisingly, I continued quite the unhealthy lifestyle through the rigors of college and post graduate school. Soon after graduation, after settling down with my wife and having kids, fitness still wasn't the priority. I had a practice to run, I had kids to provide for, a wife who stayed at home with three kids that we had in four years. We had moved multiple times due to my job change and it wasn't until I turned 30, that I had an epiphany of my own. I was 30 years old, over 300 lbs, had high blood pressure and could barely run around the yard with my 4 year old (at the time) without getting winded. I couldn't stand to look at myself in pictures or see myself in home videos. I was embarrassed at what I had become. In addition, I had learned that my father had throat cancer with which he would put up a valiant fight, but ultimately succumbed to a year later, followed by my mother two years after that (cancer also). I wanted to be around for my kids, I wanted to be the good example, not the bad one. It was time to decide, I knew what I wanted to do, but how was I going to get there? I started with what I knew. I had always loved bicycling with my friends when I was a kid. 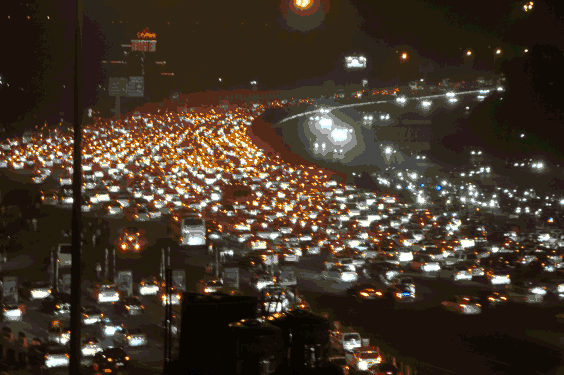 I would ride my bike to school, and later on I would ride it to work. I never could afford a car when I was sixteen, so my bike was my escape. That's where I began. So I rode, everywhere I could, and as frequently as I could, keeping in mind I did not want to take away TOO much time from my family. For about 2 years, I became an avid cyclist, I completed multiple MS 150 bike tours, and met many, interesting people along the way. I had whittled my weight down to about 250 and was feeling pretty good. Something was missing though, but I didn't know what it was. My wife then introduced me to a person who was using a personal trainer at a local gym, thinking maybe strength training is what I was lacking and maybe that would fulfill my need. I joined that gym in 2004 and over the next couple of years, I was training in the gym five days a week, doing multiple combinations of weight lifting and standard cardio exercises. I adopted a CRAZY diet for quite a while and through that process, I got my weight down to a startlingly low 176 (I'm 6'3"). I even posed for a photo shoot for my gym in a speedo, I still think they might be using that picture too. I am not going to divulge the name of that gym to avoid any personal embarrassment. While the results were fantastic, I had never felt or looked better in my entire life, that type of lifestyle was unsustainable. I tried to keep it up, but the pain in my joints was getting worse. The soreness from intense workouts was lasting longer, it took me longer to recover in between and I was getting burned out. All throughout that time period, while I was satisfied with the results, there was still something that was missing. I was lean and fit, but I wasn't strong. I had muscles, but it didn't feel like they were working together. I knew that there was something more, but I could not fathom what that would be. Thus, human nature being what it is, I gave up for a while. I had every excuse in the book. I wanted more time with my family (which was true)...I was tired of my body hurting so much (also true). Honestly, I felt empty, like there was a part of my body that wanted to get strong, but that I could never "isolate". That is how I ended that journey. I was happy with the results, but longing for something more. My wife then introduced me to Debra. She said that she was looking for people who had never tried yoga to try it and see how they liked it. Knowing me like she does, she thought I might be interested. My previous knowledge of yoga is simple....nothing. I knew people who did it, I knew that you used a mat, and I knew it involved stretching and poses of some sort. That sums up my collective knowledge of yoga prior to December 1, 2012. The last four weeks have been the most enlightening experience of my life. FINALLY, I have found that most elusive element that I had been searching for the last 11 years. Not only am I working my body in ways that I never have before, but I am experiencing a connection to my body the likes of which I have never experienced. When I would workout in the gym, I would focus on the movements, making sure my form was right, and checking myself out in the mirror (yes, we all do that). I would do reps of 12-15 and would really begin to hate numbers beginning at 10 because that’s when it would really start to hurt. No emphasis was placed on breathing, or honoring your body and what it was telling you. Truly there was a disconnect between body and mind. You turned your mind off to work through the pain. The right hand really didn't know what the left one was doing! Through yoga I can focus on body, mind, and soul all at the same time. After a workout, my body now feels energized, not beaten down. I would not be telling the truth if I didn't say that the first few weeks were quite awkward. There is definitely a learning curve that takes place in learning the poses, breathing, and flowing between. I find myself looking forward to my yoga everyday. It is a place where I can shed all of the extra baggage of my day, and I can work on ME. After four weeks, I feel more flexible, I feel more energized and most importantly, I feel BALANCED. When I say balanced, I mean that for the first time in my life, my body is working together with itself, at my intention. I look forward to these next four weeks. I feel like I have surpassed those first "baby steps" on this new journey, and now I am ready to take the next steps with an intent and purpose like never before. 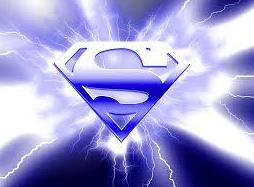 No doubt as time goes on, I will get stronger, I will be more flexible, I WILL be in balance! I am emboldened to continue on, I look forward to what I will discover about myself these next four weeks. I also go forward with a feeling of gratitude for Debra, who has opened this pathway for me. Life is a series of journeys where the destination is not necessarily the primary benefit, it is the souls you encounter along your path. Namaste. Begin to notice “how you feel” when you eat, which foods energize you, which make you feel sluggish and bloated. Once I began to listen to the signals from my body – acid reflux, gas, bloating, constipation – and which foods caused these symptoms, I made wiser choices and thought about how I was “fueling” my body. 2. Consider dropping wheat from your diet. Following the book “Eat Right For your Type” by Dr. Peter D’Admo, I dropped wheat from my diet. Instead I substitute whole grain brown rice, quinoa, gluten free pasta’s such as quinoa pasta, and Ezekiel bread instead of processed wheat pasta’s and breads. I am now gluten free and have very limited intake of grains. I noticed immediately when I dropped gluten from my diet I was no longer constantly bloated. 3. Lower your sugar intake. I strive to follow Dr. Joseph Mercola’s(mercola.com) recommendation of 25 grams of sugar a day although some days this is very hard. I believe we are a society that is truly addicted to sugar – I know I was. Sugar is hidden in everything – pasta sauces, taco sauce, salad dressings. Once I went through what I call my “detox” phase and stopped eating a handful of chocolate chips with my coffee in the morning and reaching for sugary protein bars for energy, I was no longer on the roller coaster of up/down energy and immediately lost weight in my belly. 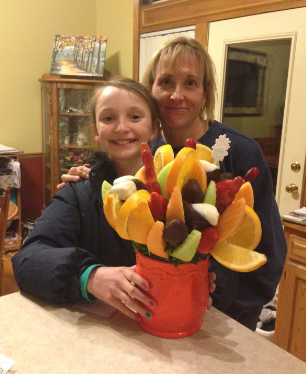 I now look at fruit as a healthy treat, not a necessity. I eat berries with walnuts on top as a snack – so yummy-- or a square of dark chocolate for those chocolate emergencies. Be sure to avoid artificial sweeteners and diet sodas. Stevia is a natural herb sweetener alternative. Dr. Mercola also recommends when we drop our sugars that we add healthy fats to our diets such as nuts, olive oil and avocado. I snack on raw almonds and add olive oil to my roasted vegetables and salads. 5. Add Protein to your diet. Protein is an important component of every cell in the body. Our bodies use protein to build and repair tissues. We also use protein to make enzymes, hormones, and other body chemicals. Protein is an important building block of bones, muscles, cartilage, skin and blood. Think about adding protein to each of your meals. I start each day with organic scrambled eggs with spinach and mozzarella cheese. 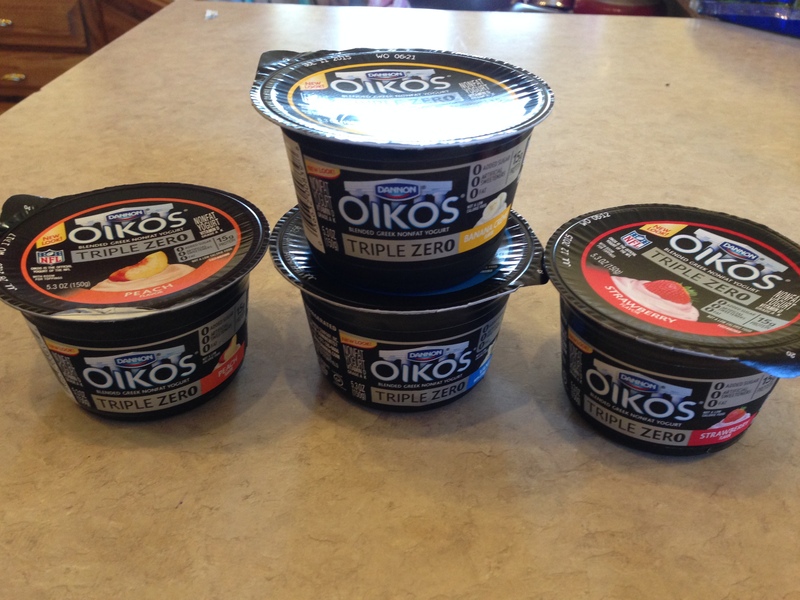 Other great options are greek yogurt and oatmeal with fresh berries and chopped walnuts. 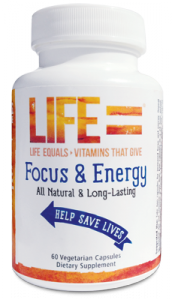 I have noticed that by starting my day with protein I stay full longer and I am more alert and energized. I also eat lots of meats such as chicken, turkey, and beef. Fish is also a great source of protein. 6. Eat lots of vegetables. When I cut back on fruit, I added lots of veggies to my diet. I love salad, roasted vegetables, and raw vegetables for side dishes and snacks. I roast extra veggies so that I always have some in the refrigerator for a snack or lunch. 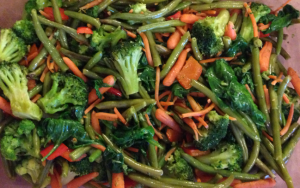 My favorites are broccoli, whole green beans, asparagus, carrots, turnips, beets and zucchini. 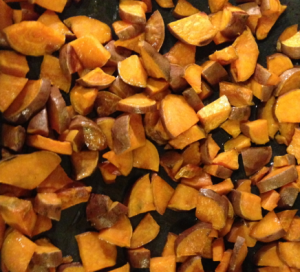 Also can’t forget my favorite treat – baked sweet potato. Green tea has important antioxidants and compounds that help in maintaining good health. Green tea’s antioxidants, called catechins, scavenge for free radicals that can damage DNA and contribute to cancer, blood clots, and atherosclerosis. I drink cold green tea during the day and always have hot green tea every night after dinner. I have noticed that the hot tea helps me to digest my dinner and also curbs my craving for something sweet immediately after dinner. 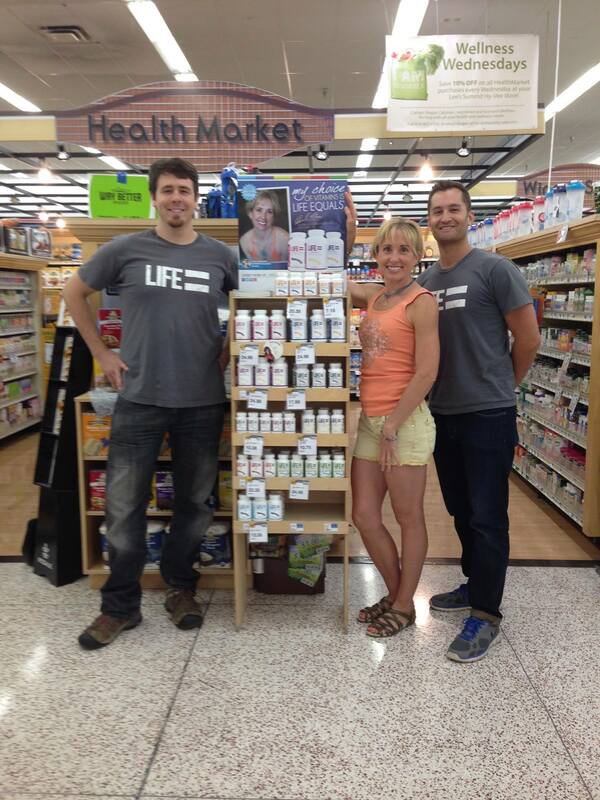 Taking Dr. Mercola’s probiotic immediately helped my digestion. I am also around hundreds of students each week and know that my probiotic is the “secret weapon” that keeps me healthy. 9. Do not eat after dinner. I lost weight immediately when I stopped snacking after dinner. The food that we “pop” into our mouth and forget to count in our calories for the day adds up. Water is your body’s principal chemical component and makes up 60% of your body’s weight. Every system in your body depends on water. From the Mayo clinic website, the Institute of Medicine determined that an adequate intake for men is about 13 cups of total beverage per day, and 9 cups for women. I am drinking water constantly throughout the day and have a bottle of water with me at all times. 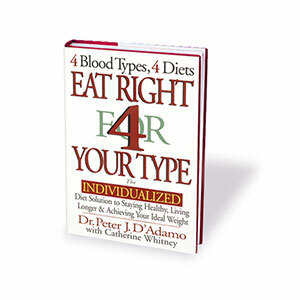 Recommended Reading: “Eat Right for Your Type” by Dr. Peter D’Adamo. This book changed my life and has helped hundreds of my students as well. After the birth of my fourth baby, I was thirty pounds overweight. Following this diet along with yoga and pilates helped me to shed the pounds and gain lean muscle mass. I feel strong, healthy and joyful inside and out. 1) As Major Carl Stratton said in a "Celebrate your Pose!" Video: "you won't have to necessarily go to a studio with a bunch of strange women"! Ha! Much love to all the "strange women" out there who embrace Yoga for what it truly is. Yes, women seem to grasp the inherent benefits of Yoga in the West or at least are more comfortable to experience what it can offer them because they see others doing it, but the truth is that the benefits of Yoga are for anyone. Yoga is a human practice and if it takes doing it in the comfort of your own home rather than a studio, choose something that could be healthy for you. 2) Practice on your own time, your own schedule and at your own pace. One of the things I love about following along to a Yoga class at home is the ability to modify anything that is currently happening during the class based on how I'm feeling without the pressure of doing the same thing as everyone else. Sometimes you just want to sit in Lotus pose in the middle of your practice while the teacher goes through 2 more balancing poses for instance. At home you could do this and not look out of place. Yoga is really about your own personal journey anyways. The guidance from a teacher in a class isn't meant to be like the guidance in a classroom. You won't pass or fail by following perfectly. You have to listen to your own body to see where you need to go. The teacher can help you get to these moments of self-introspection where you start to hear what your body is telling you, but you must learn to listen and respect yourself as you continue on your own journey. 3) Try many styles quickly and find one that suits your needs. If you start your Yoga practice at home, you have the convenience of pulling up many different styles and testing them out. Many people try out their first Yoga class and it's not what they expect and they forever associate Yoga with that experience. There are so many different styles and approaches to teaching that it can be a little hard to figure out where to even begin. Use our Joyful Journey creator to create a series of videos catered specific to your needs. We'll even have a teacher check up on you while you're progressing along. 4) A home practice complements a regular studio practice. Let's be honest. Those of us who have practiced in a studio are probably the first to point out the many difficulties of practicing at home because it becomes very hard to recreate the experience within a studio especially of being in the same physical space as the teacher. It's the same as watching your favorite band perform a live concert on stage through your TV, or watching that exciting sports match, but there's just something different about being there in person. This will always be the largest hurdle. But there's one reason to truly adopt it as a way of sustaining regularity in your practice: even though you may not always attend your favorite artists' concerts all the time or go in person to a sporting game, you typically listen to their music or watch a game regularly on tv right? By doing this, you create a sense of regularity, familiarity. You understand and appreciate what you're following more; after all, you're a fan! So become a fan of your practice because it's your health that you're working on. Sure, one day a week at the studio is better than nothing, but supplement that by squeezing in 1 or 2 more classes on your own schedule -- early morning, after work, on weekends, whenever to keep yourself growing in your practice. 5) Sustain a regular practice. We cover a lot of inspiring stories on our "Celebrate your Pose!" series. If you haven't seen any, stop reading this and go get inspired!